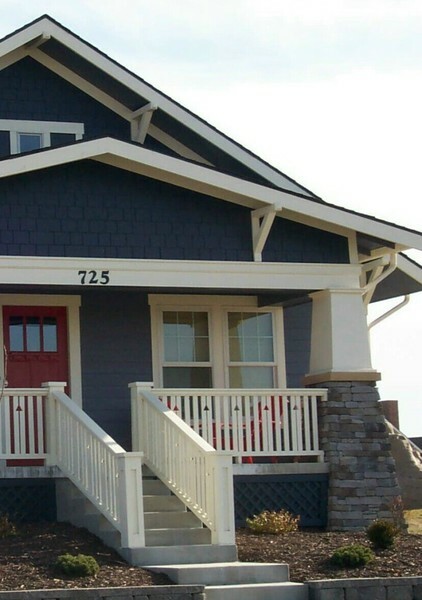 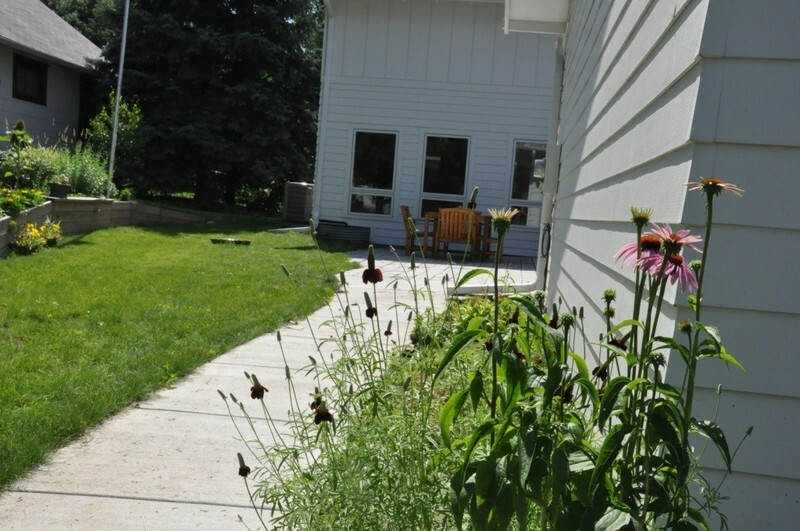 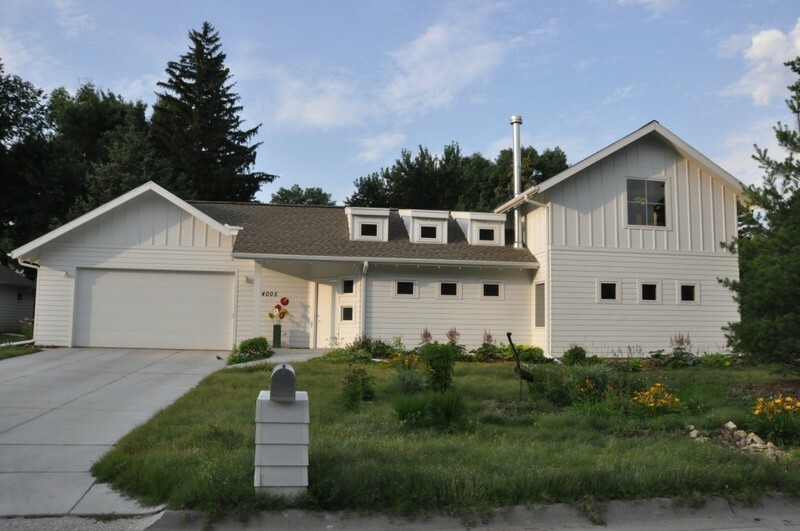 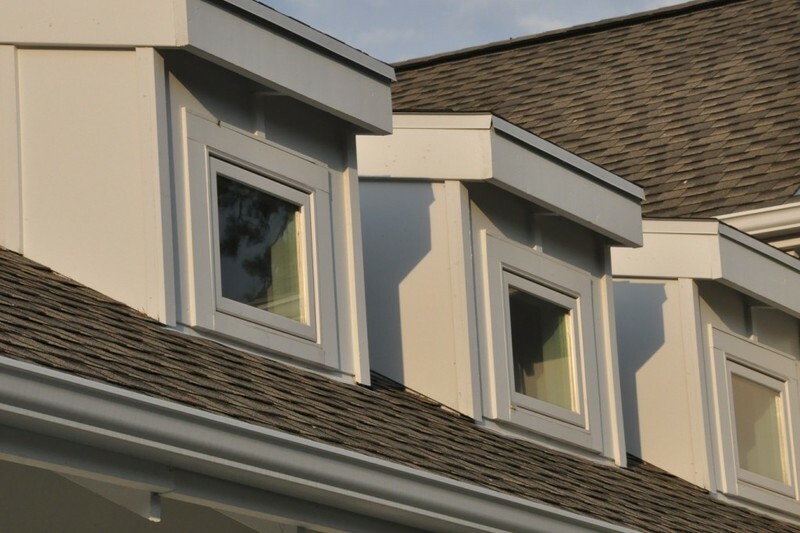 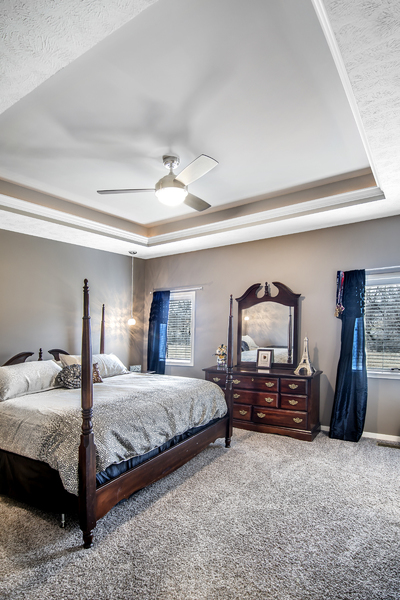 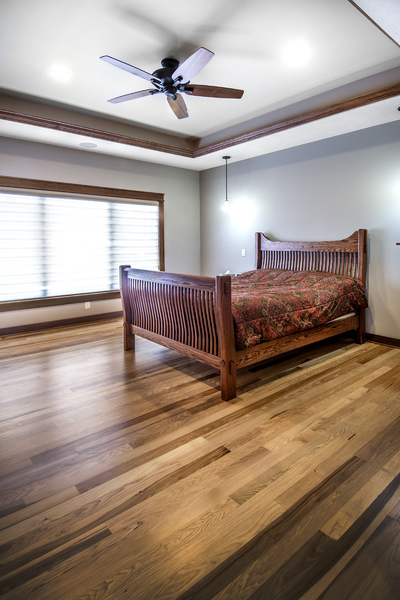 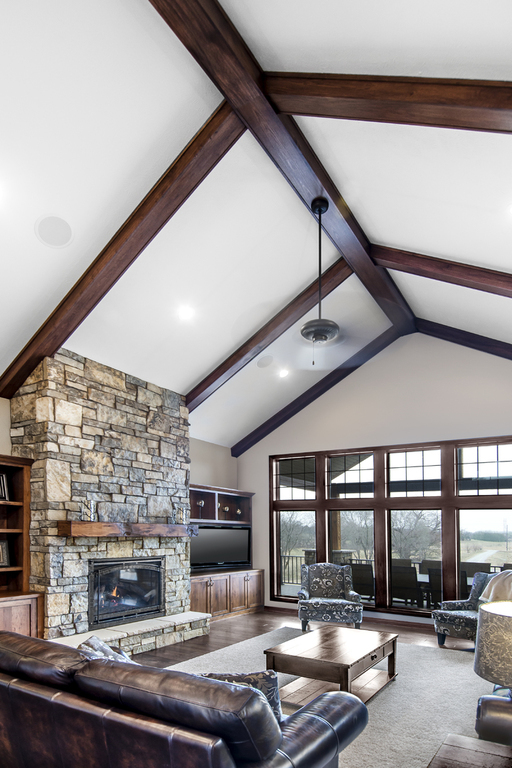 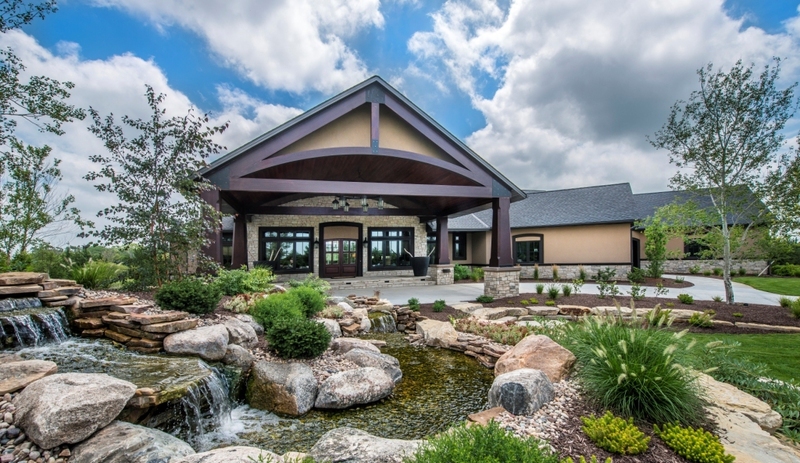 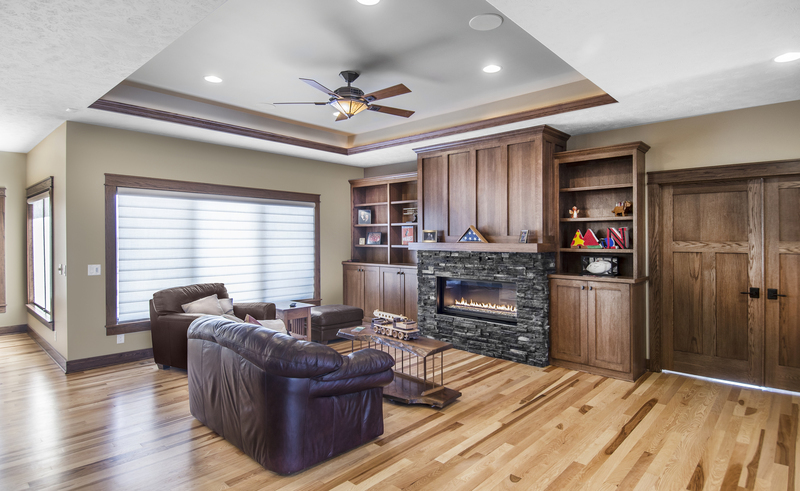 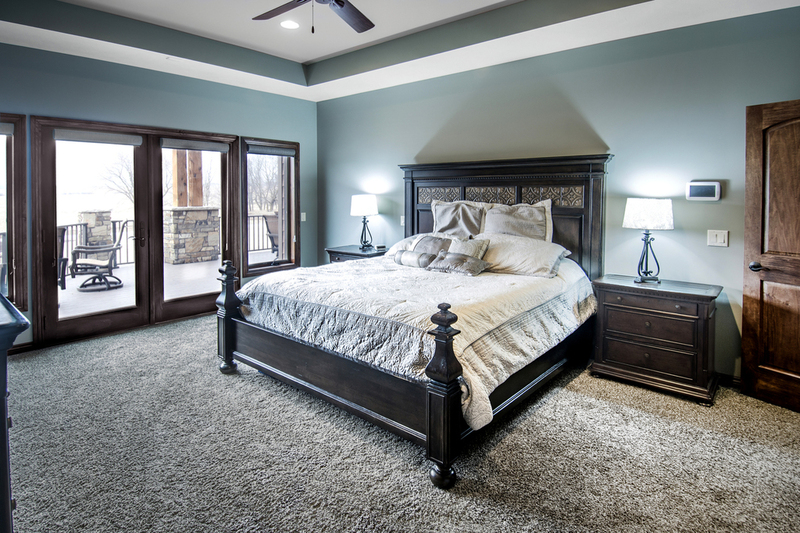 This project was featured on Houzz. 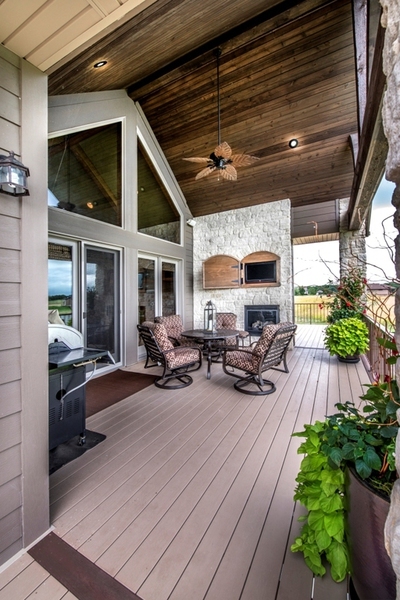 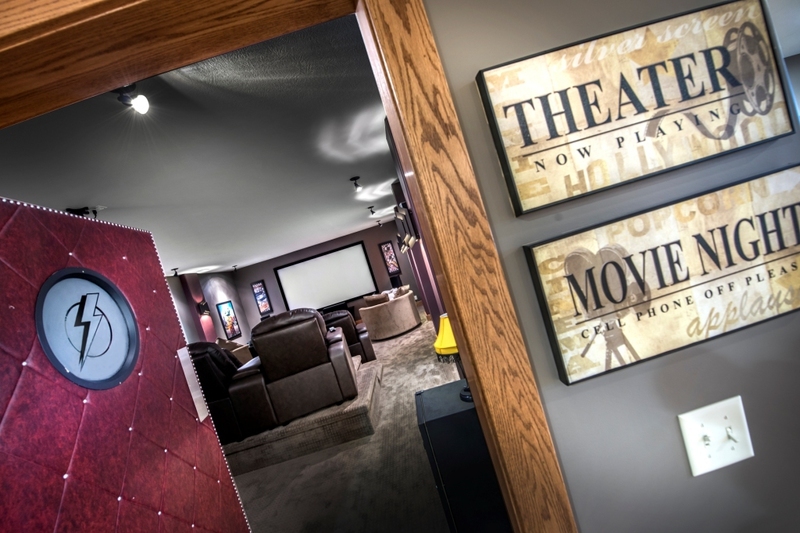 People just love the downstair bar, home theater and especially the outdoor space! 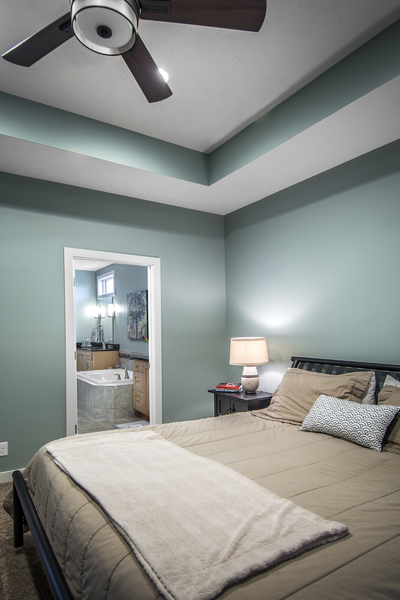 It all turned out really wonderful! 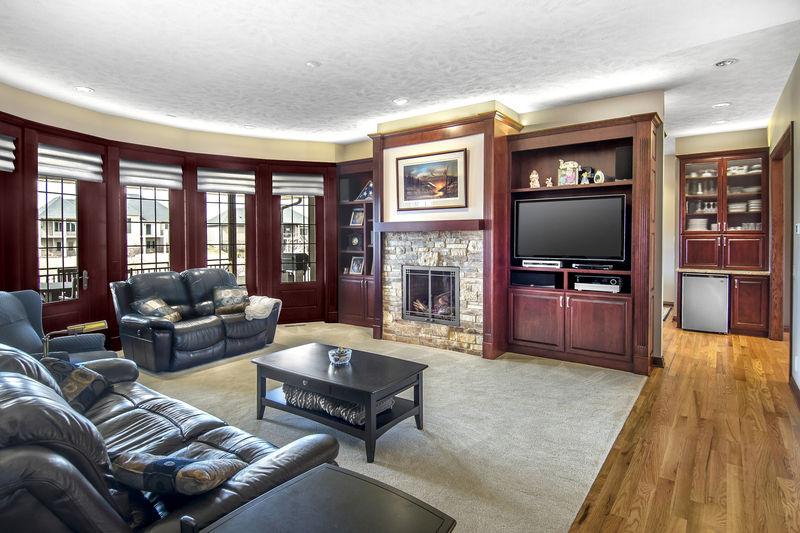 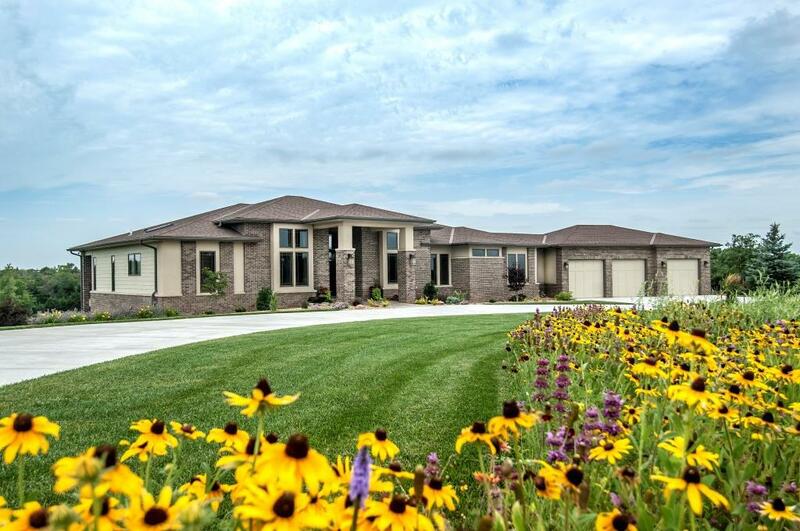 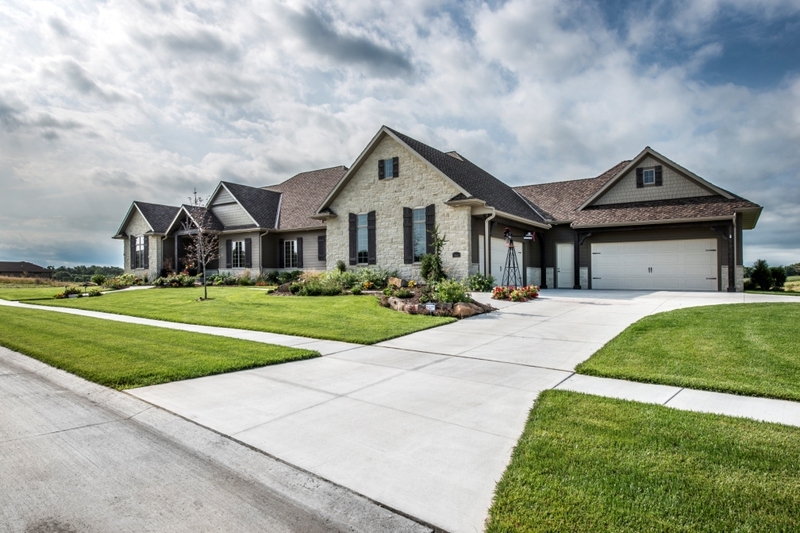 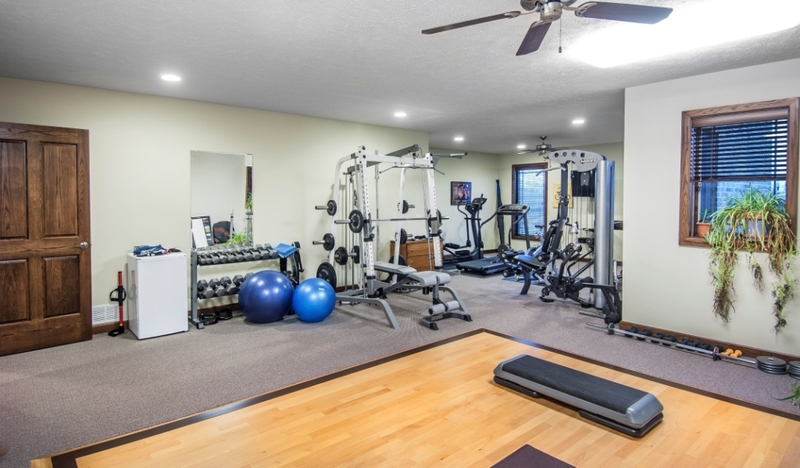 This home is quite large and features a four car garage, office, exercise room and a hearth room. 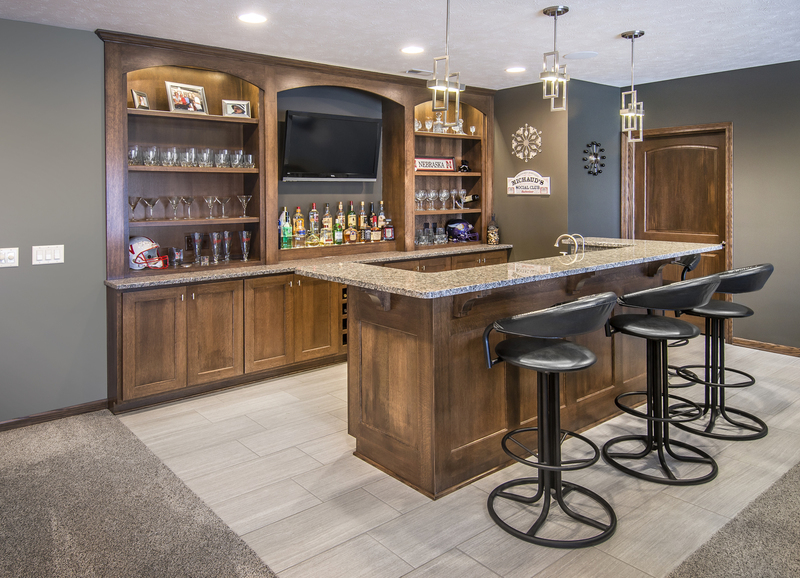 My favorite part of the home is the downstairs bar and the outdoor deck. 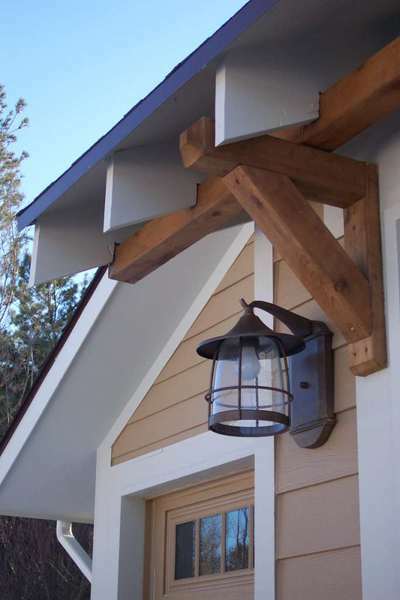 We designed the outdoor TV to have a 'barn door' over it and made sure the deck would shade perfectly for their annual 4th of July party! 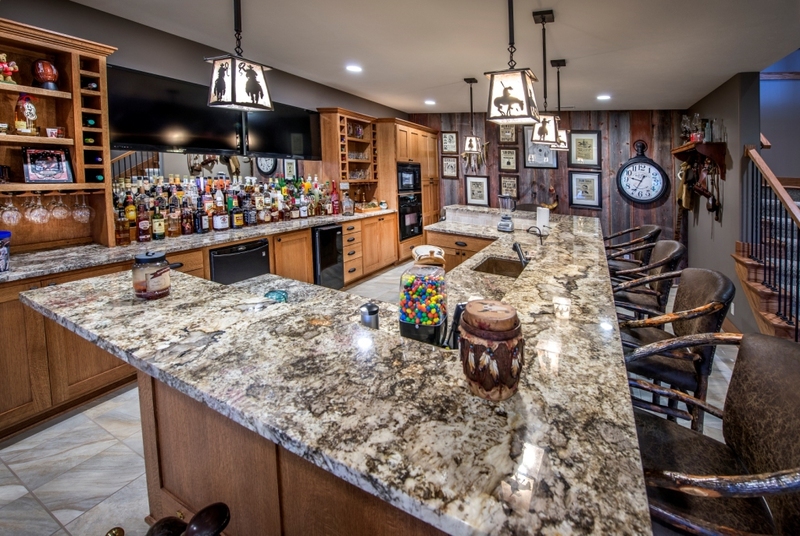 The downstairs bar was carefully designed from the maximum seating down to the bottle display steps! 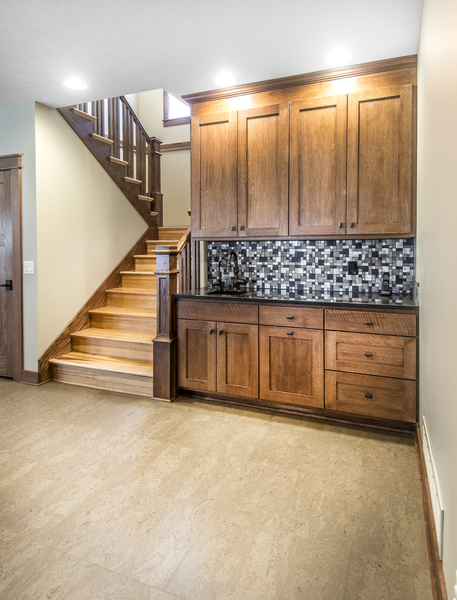 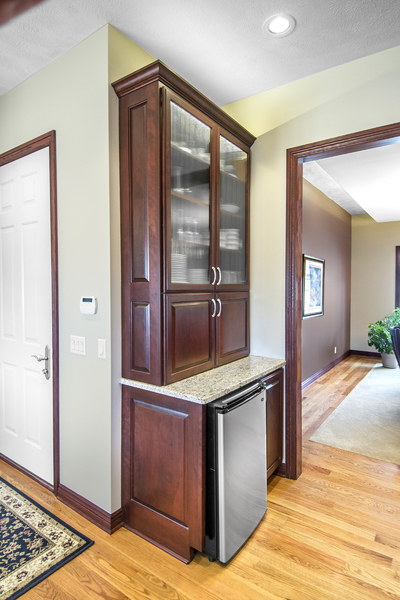 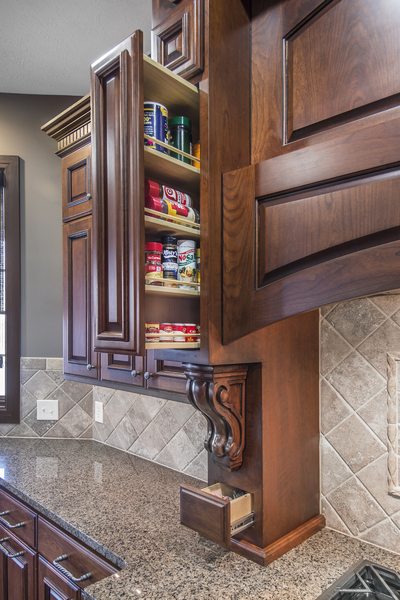 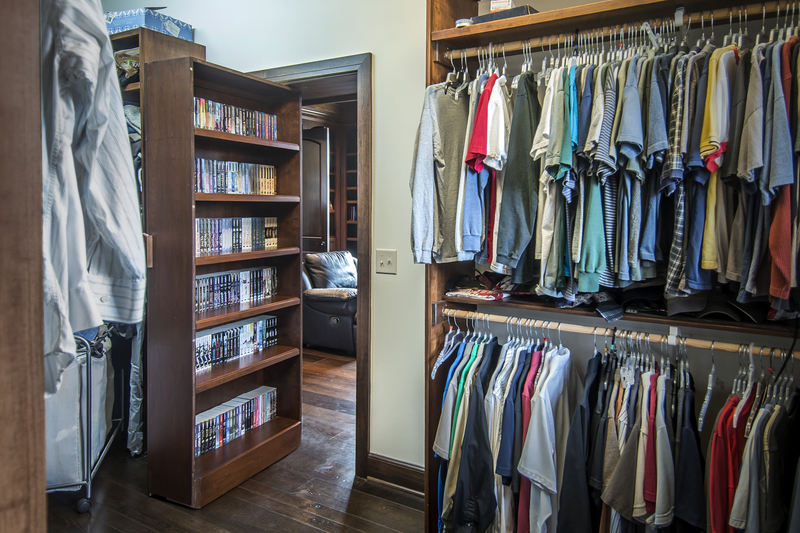 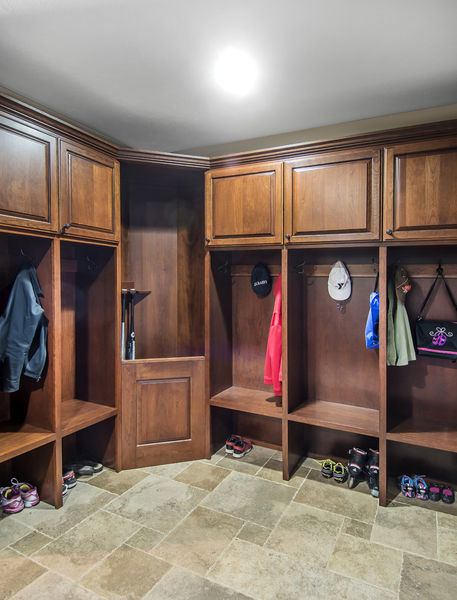 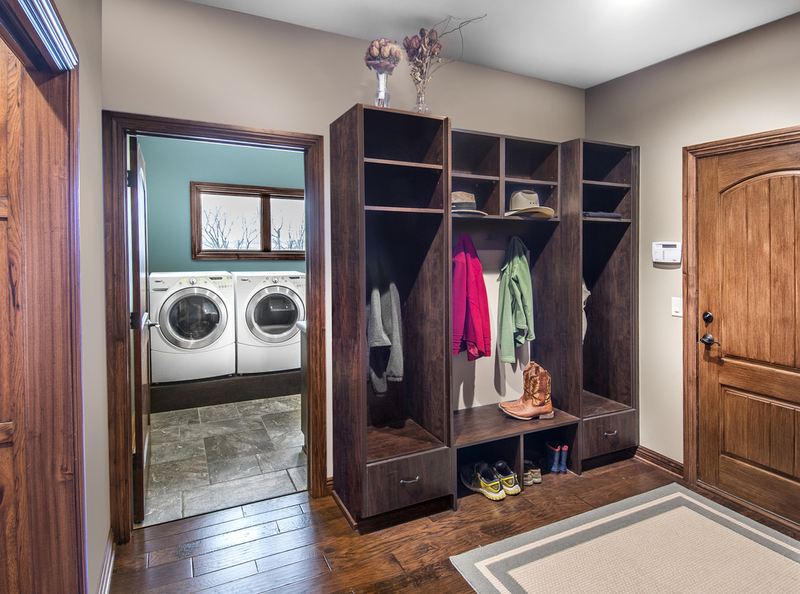 The pantry, stairwell design and laundry room are favorites on Houzz. 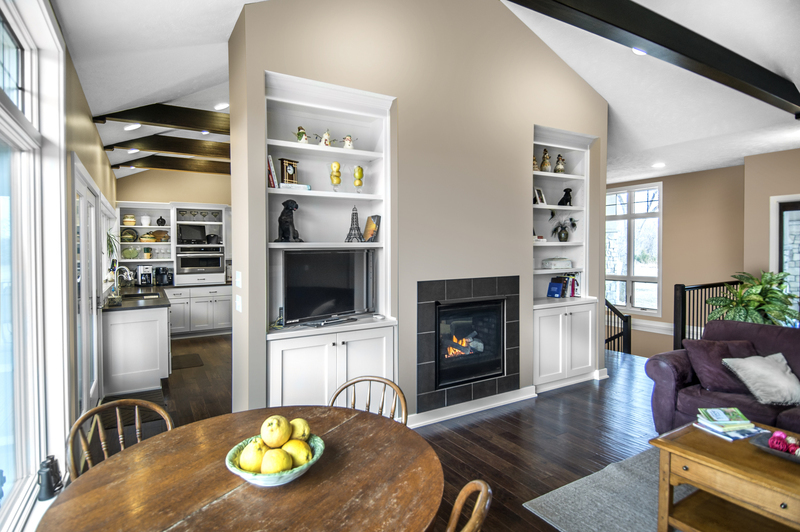 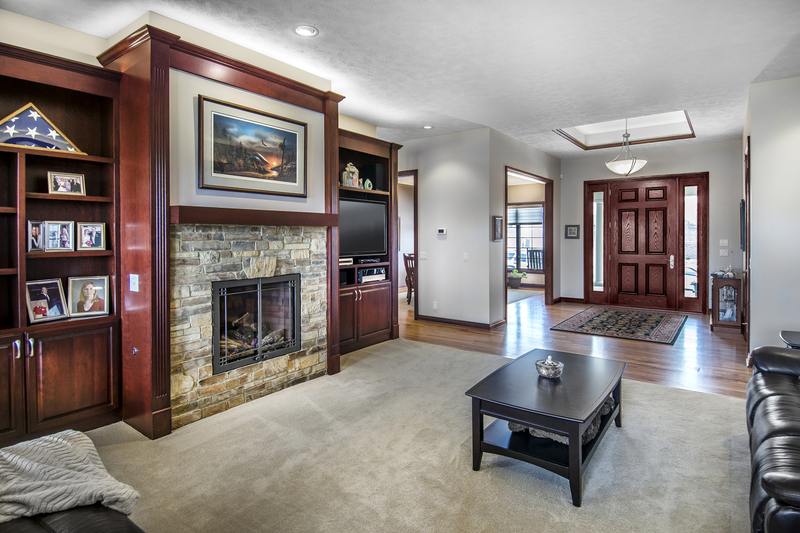 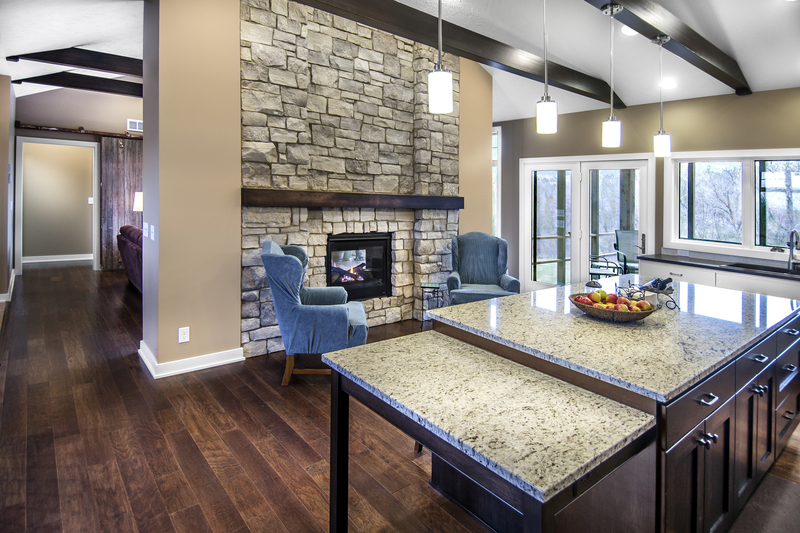 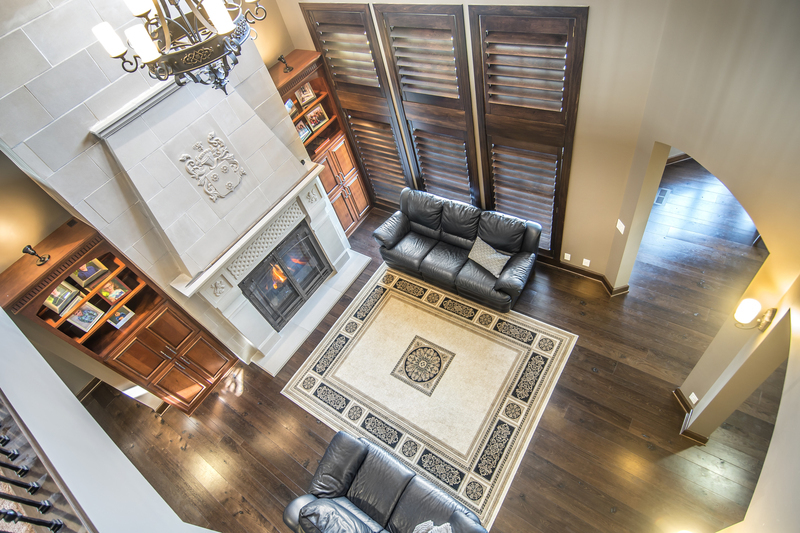 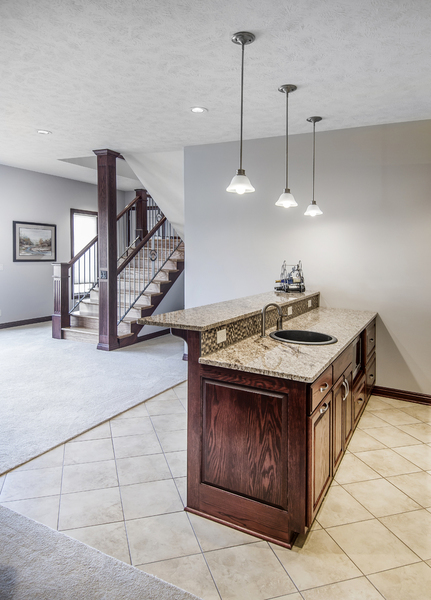 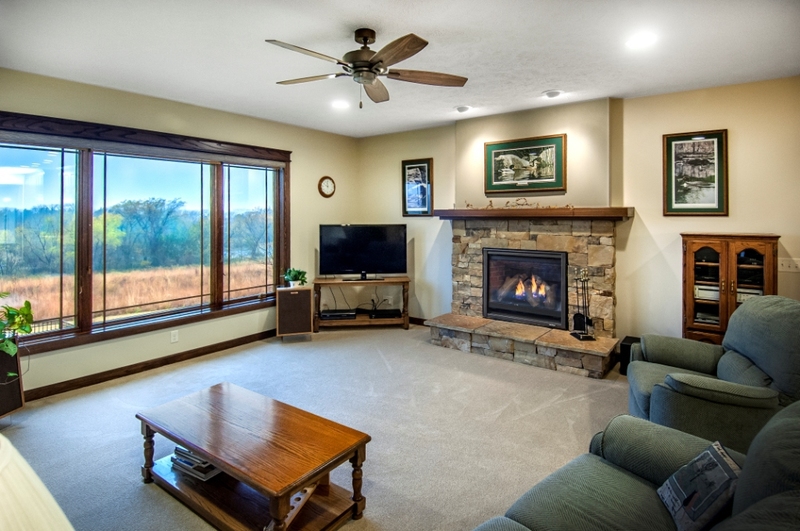 My favorite things about this home is the kitchen, stair window & hearth room! 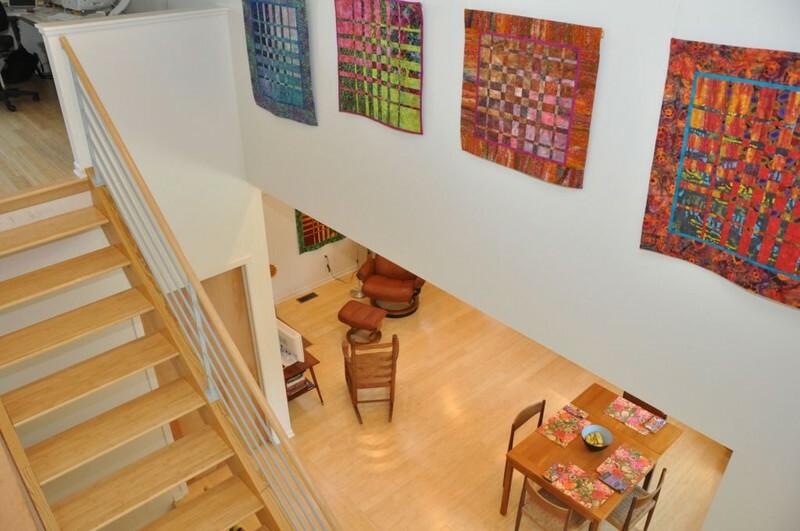 It is actually a smaller home at 1800 square feet on the first floor, but it feels quite large! 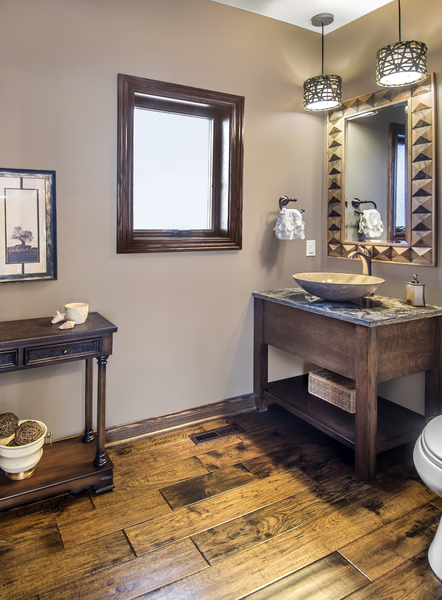 We used several design tricks to create the feel of openess while making the space feel intimate. 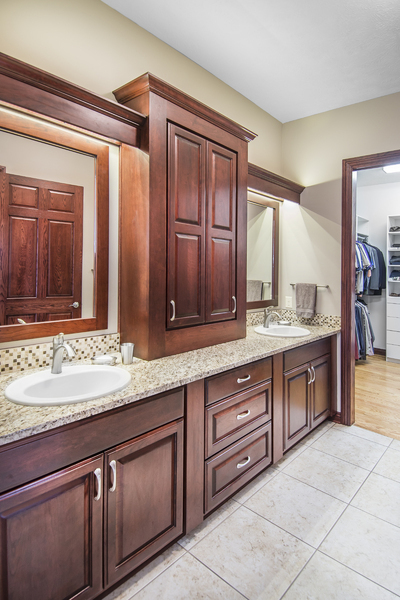 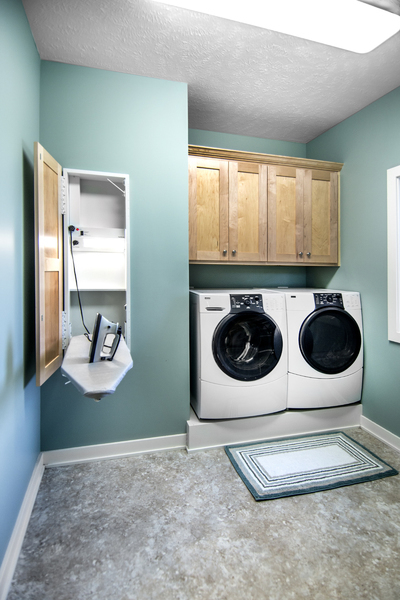 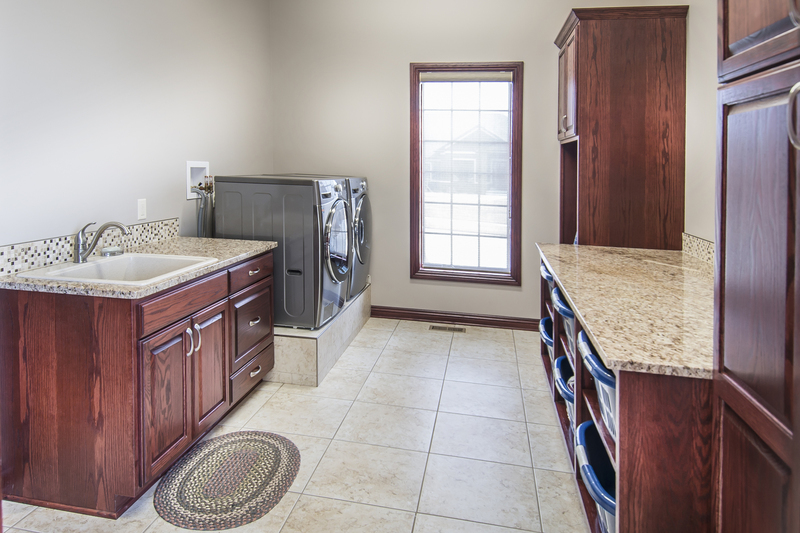 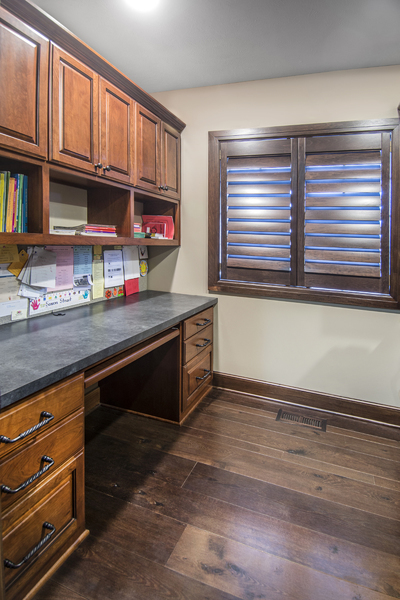 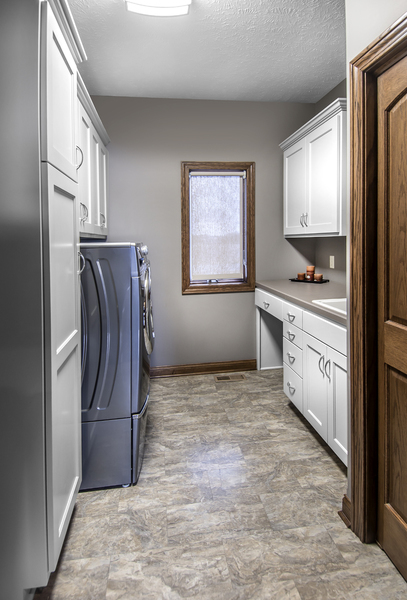 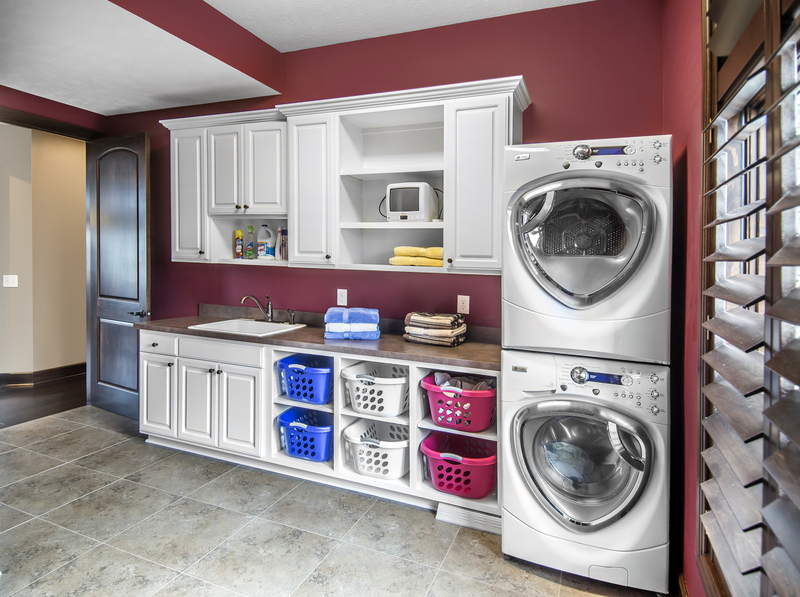 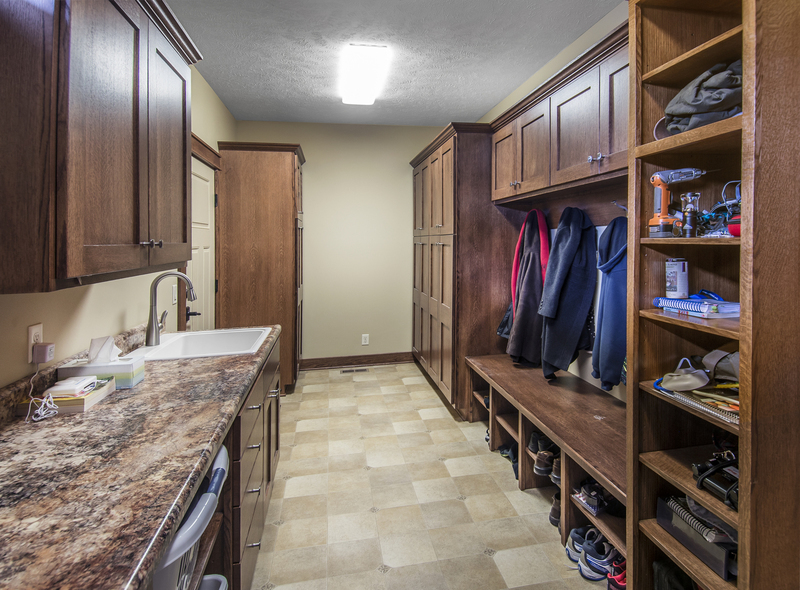 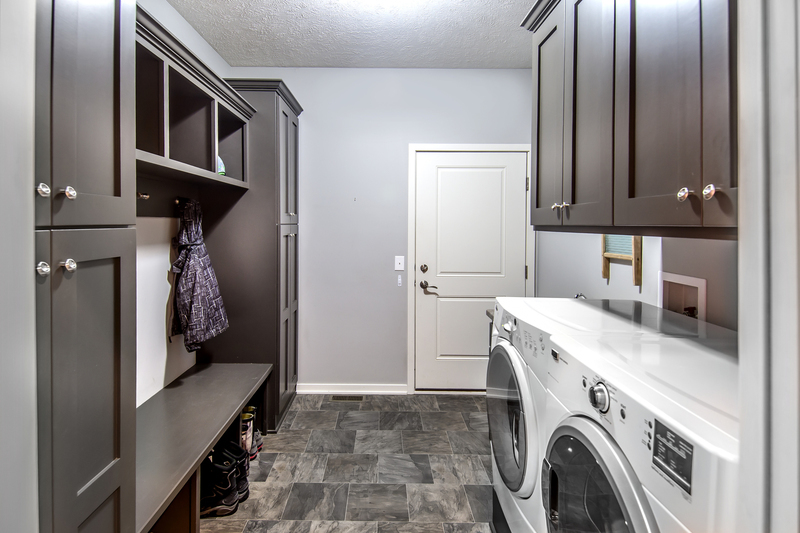 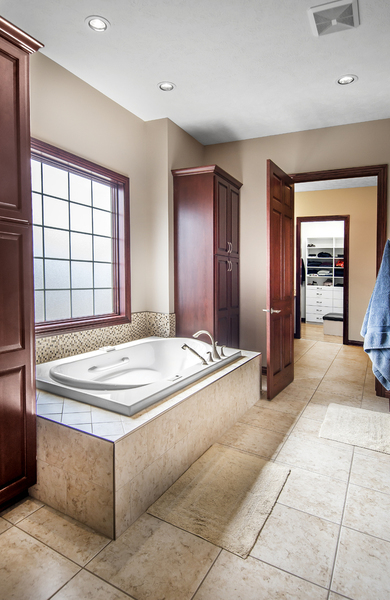 On Houzz, for this project, the laundry room seems to be a favorite. 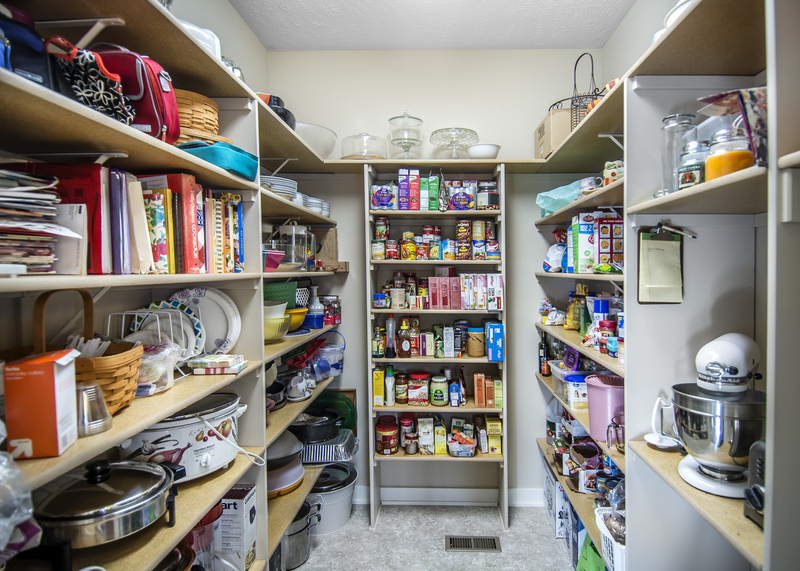 I think because everyone dreams about how they can be organized and this room works great! 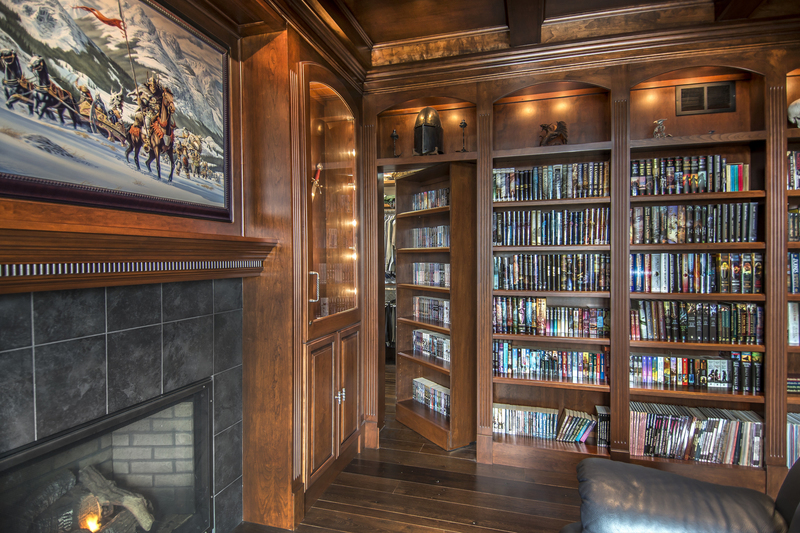 However, I just love so many other things about this home. 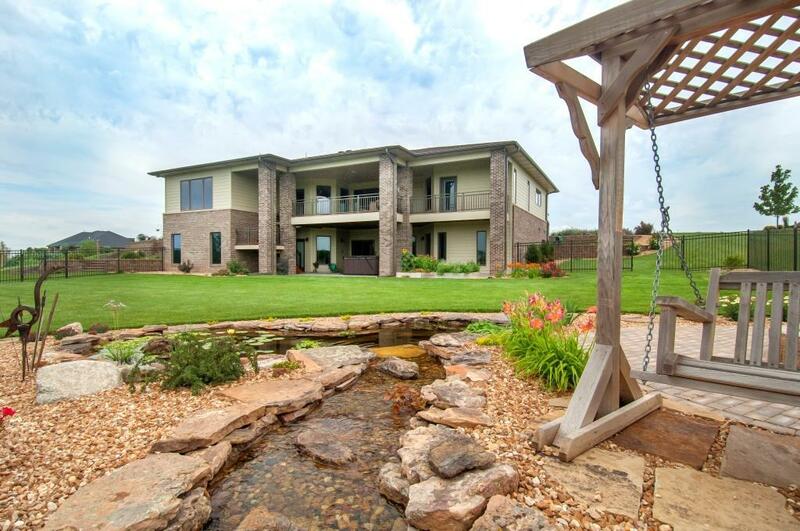 The exterior looks like a castle and the neighbors actually call it the castle house! 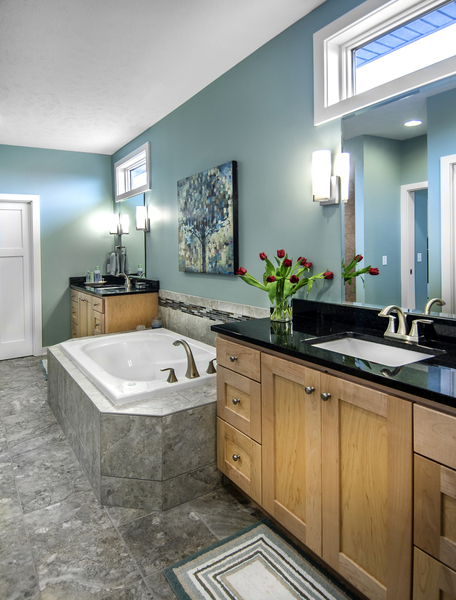 This is perfect as that was the design goal of the exterior and interior! 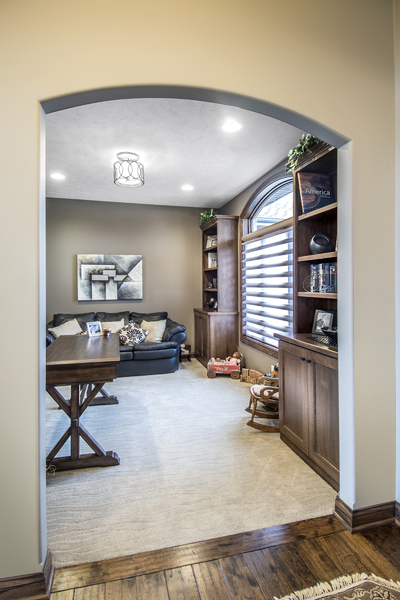 I love the hidden door in the library, the custom design fireplace mantel, the arches in the living room, the curved stairs...it is a lovely home! 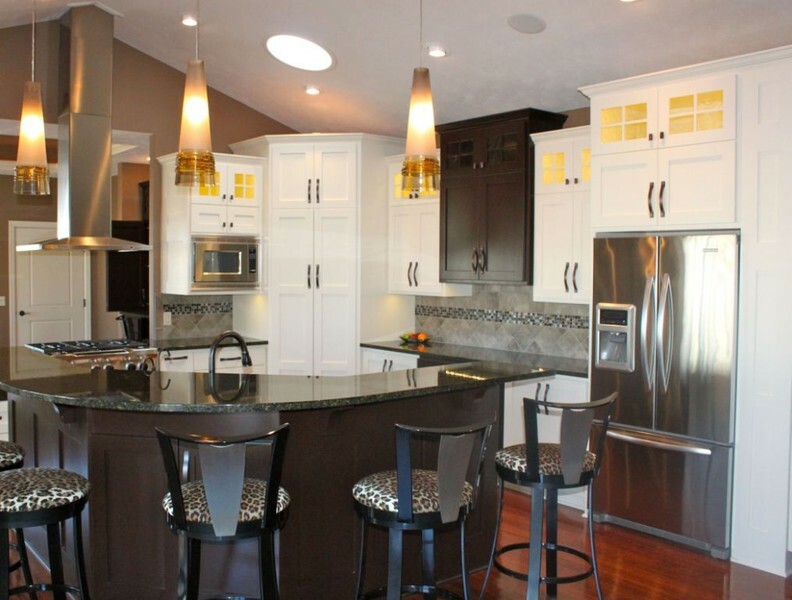 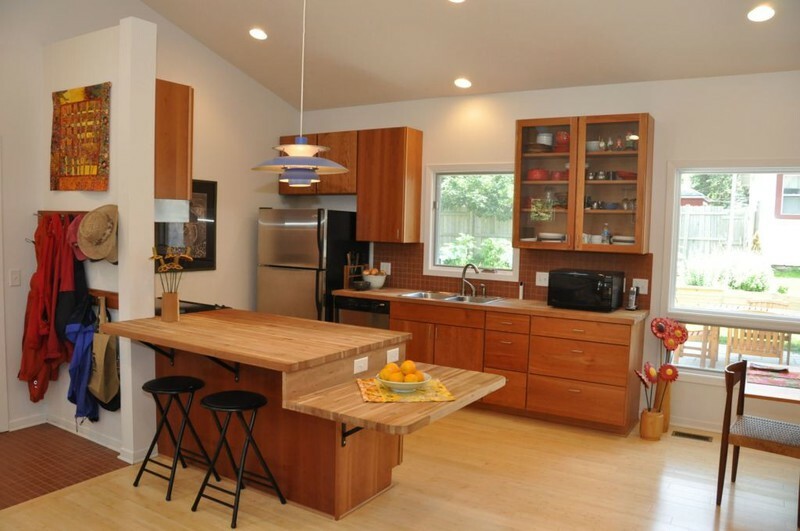 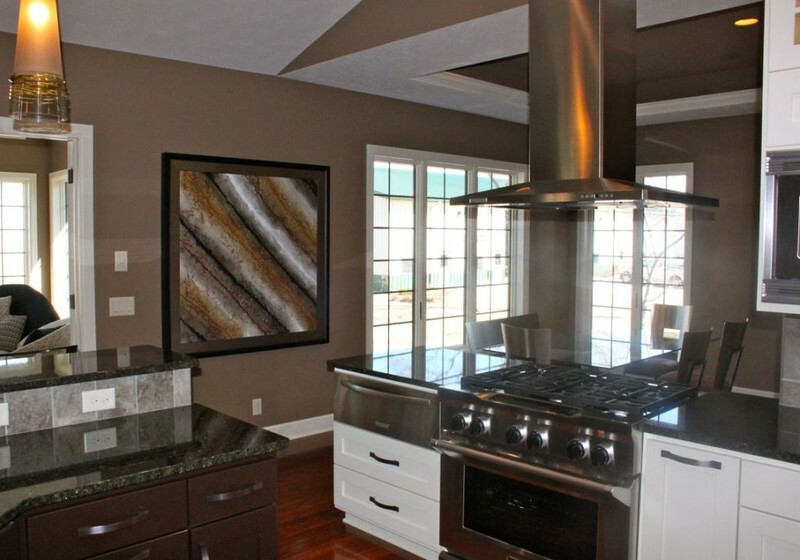 Part of this kitchen was featured in an article on Houzz. 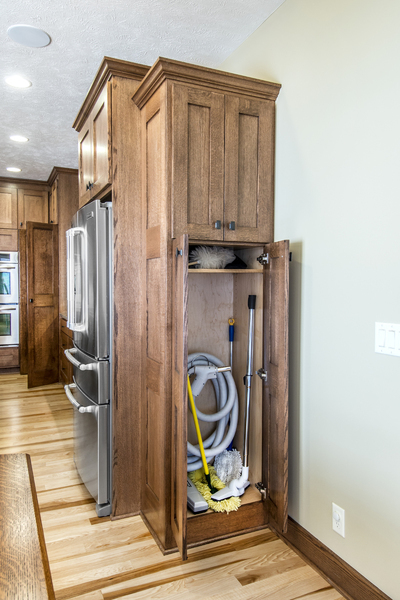 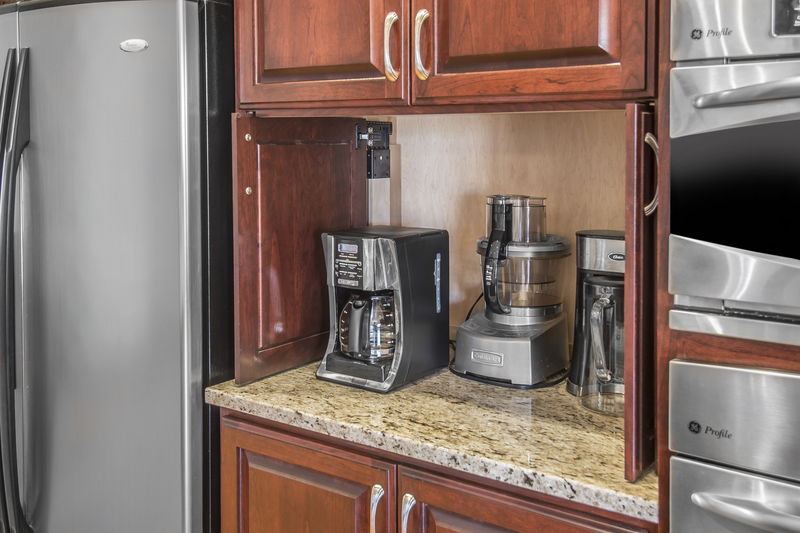 It has a cabinet that we put in the design to hold to the vaccum cleaner making it super easy to access. 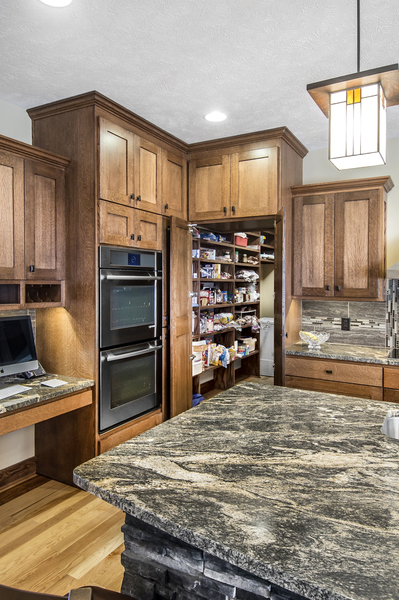 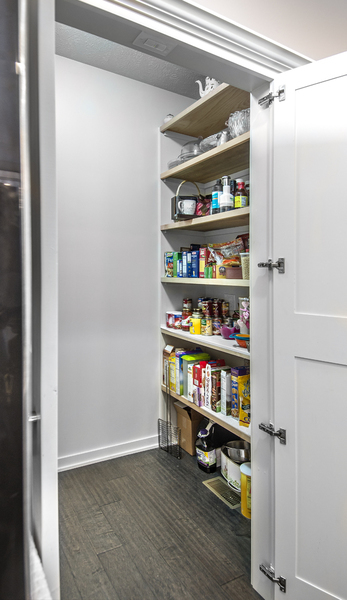 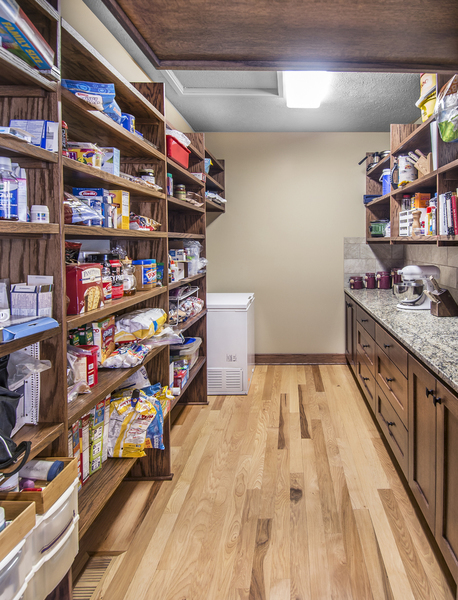 My favorite part of this project is the hidden pantry and the fact that we designed this home for a client that may be in a wheelchair at some point. 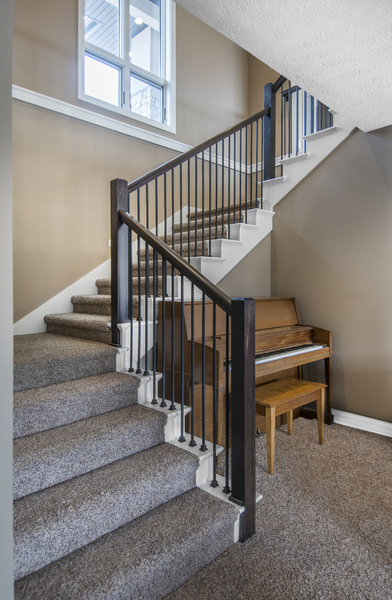 It is wheelchair accessible on the first floor without anyone realizing it! 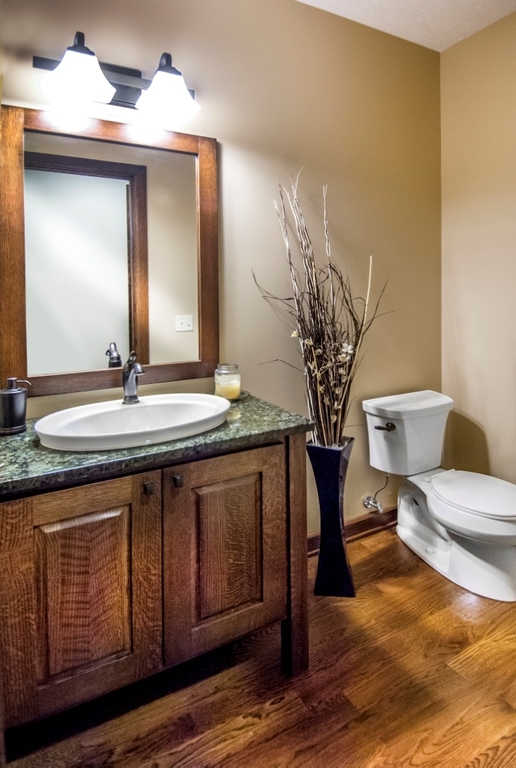 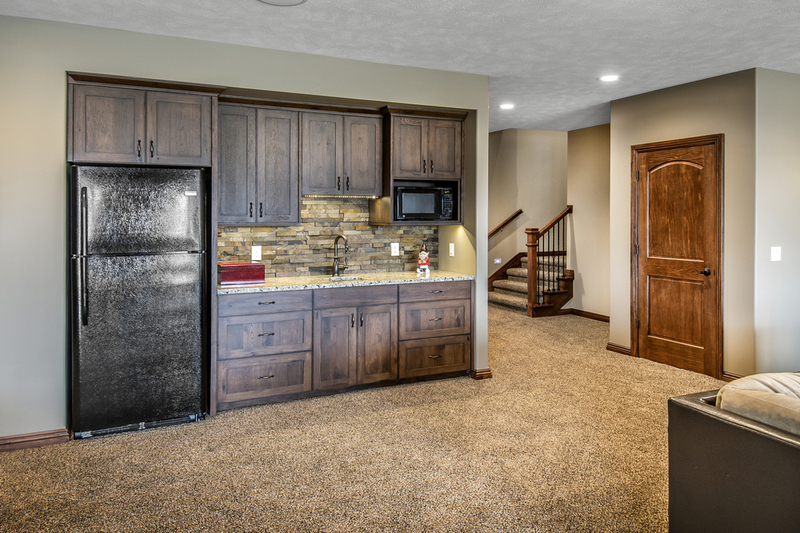 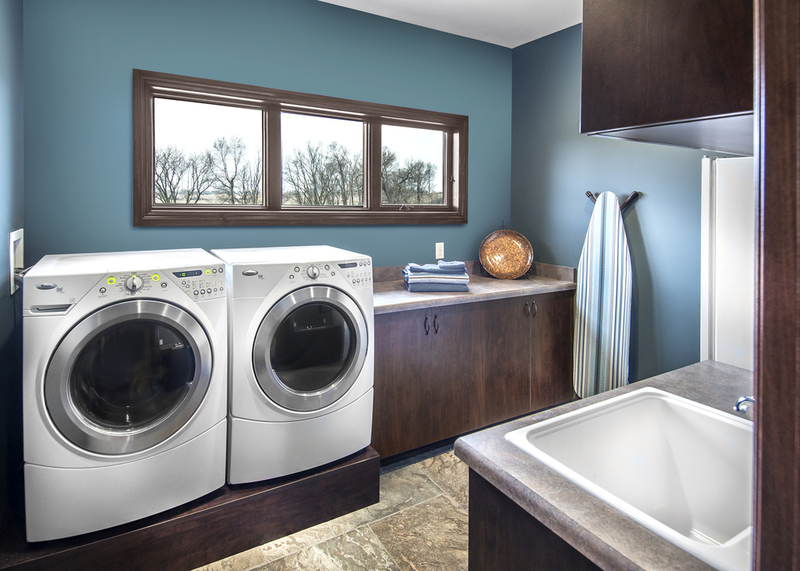 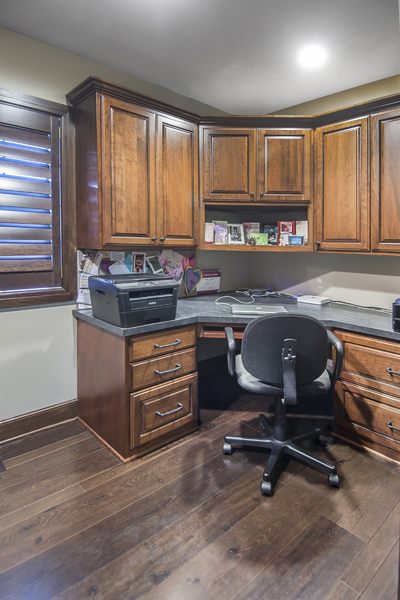 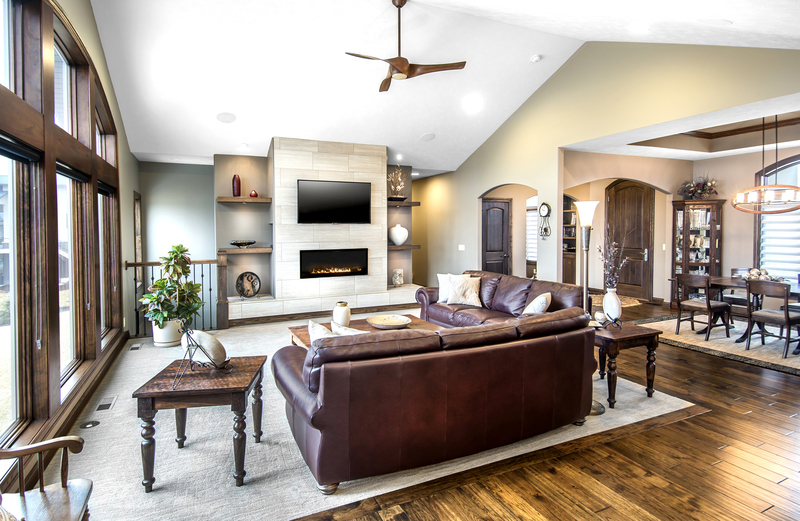 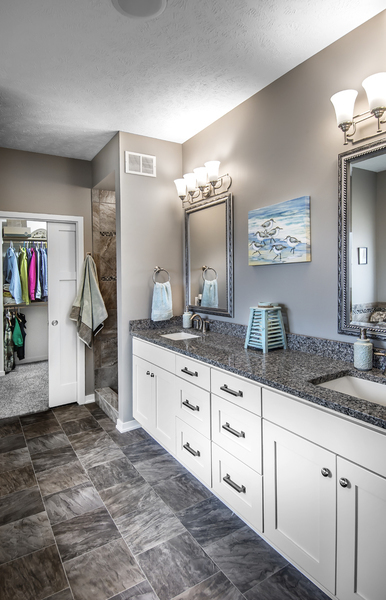 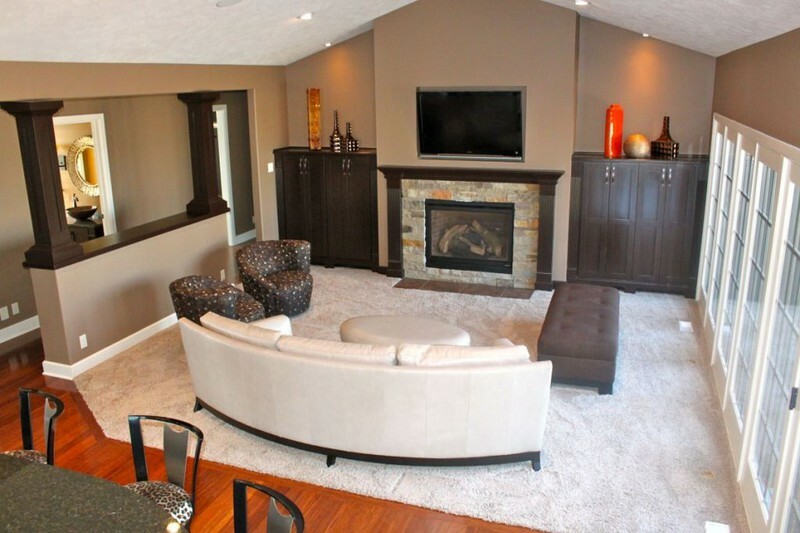 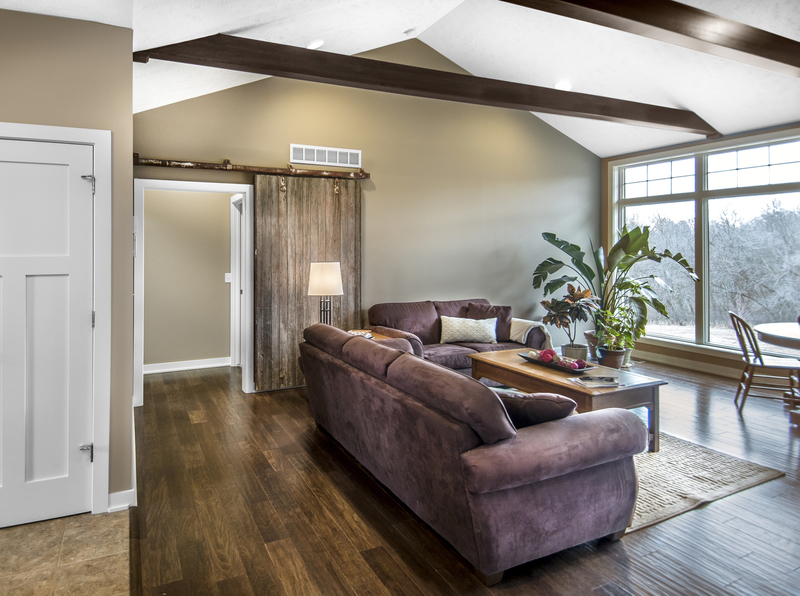 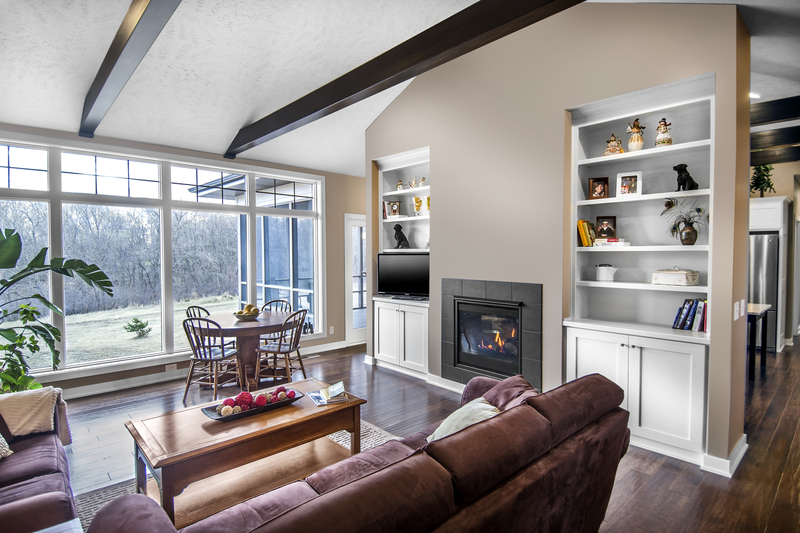 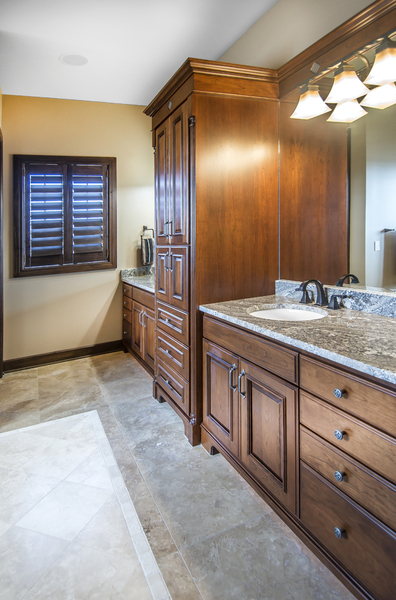 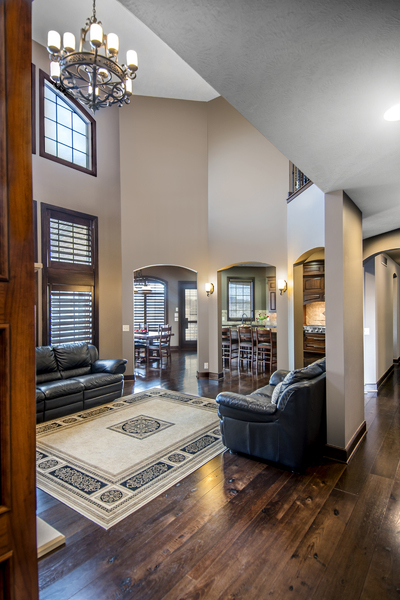 On Houzz, the laundry room and the living room are favorites! 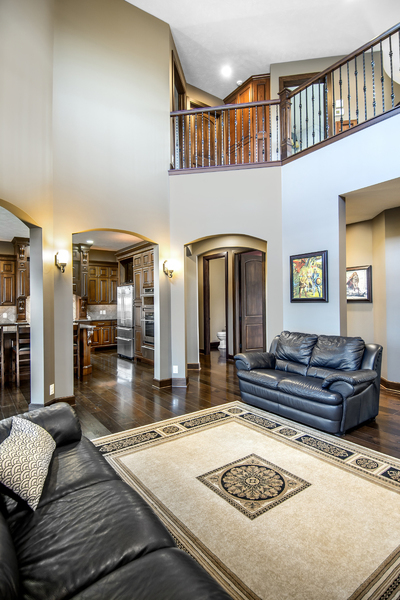 There are several rooms that I love even more in this home. 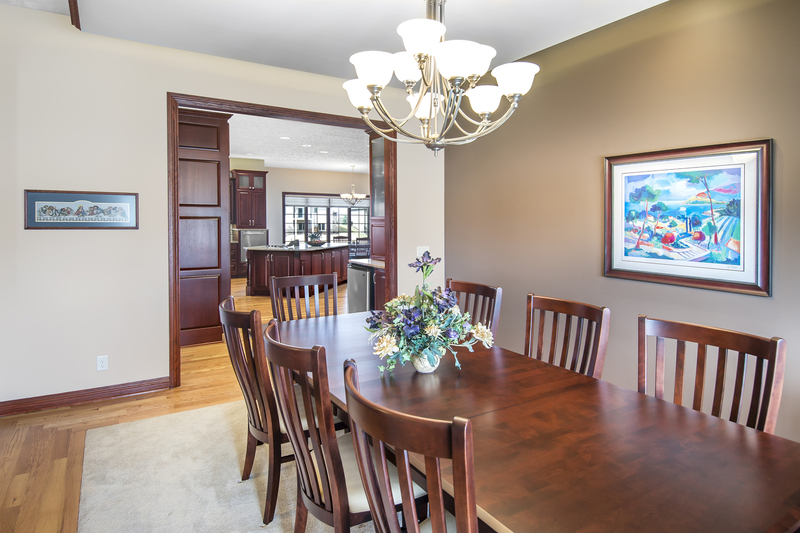 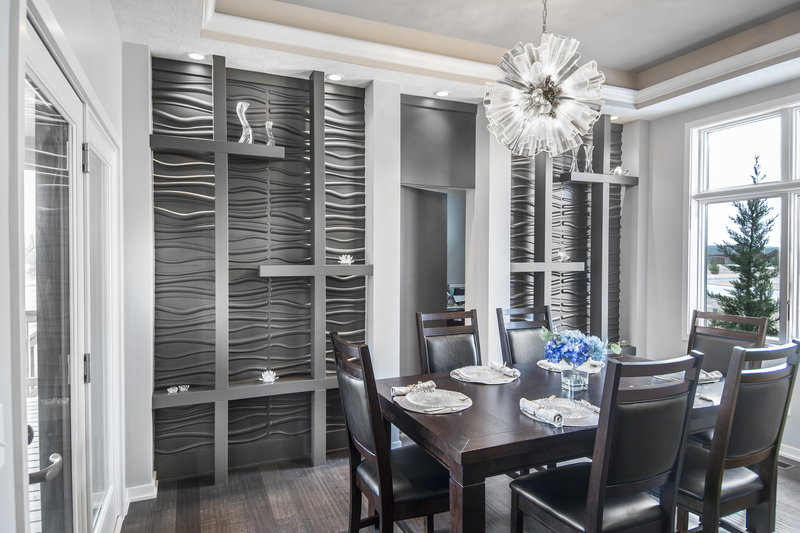 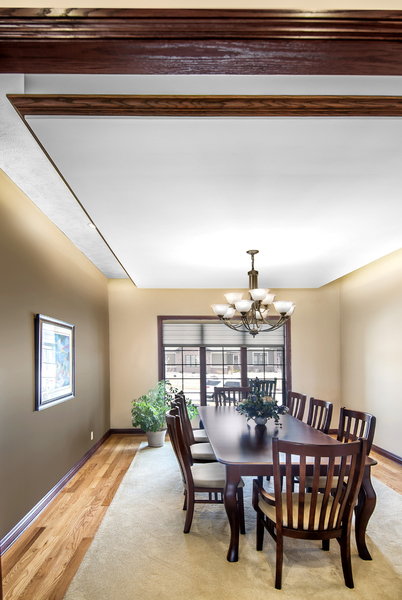 The dining room feature wall that has a hidden door which goes to an office. 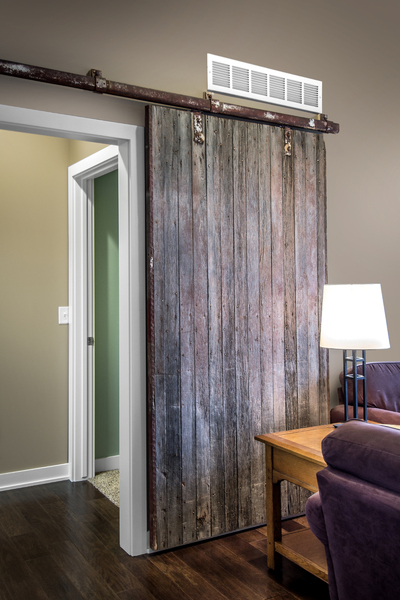 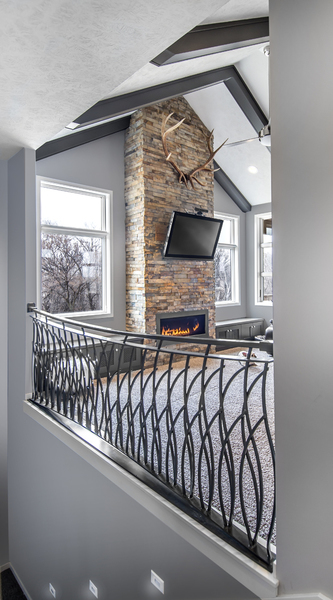 We designed this wall to really make a statement in this 1816 square foot home and I think it is stunning! 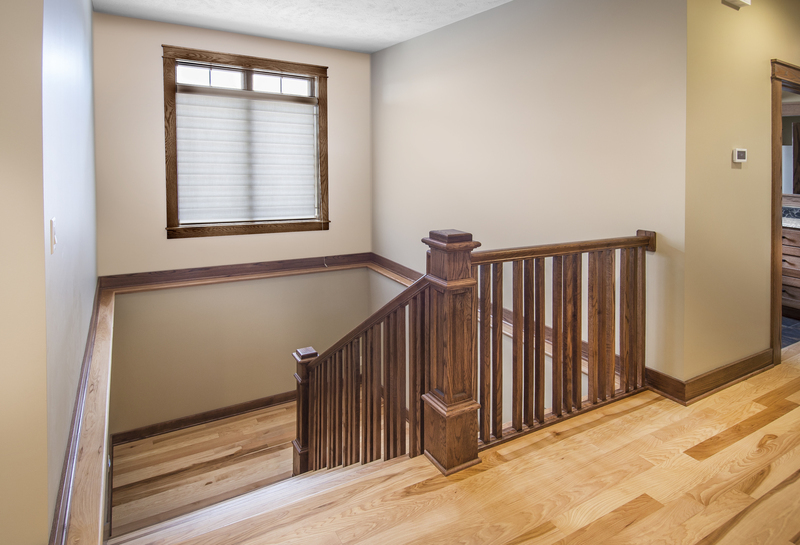 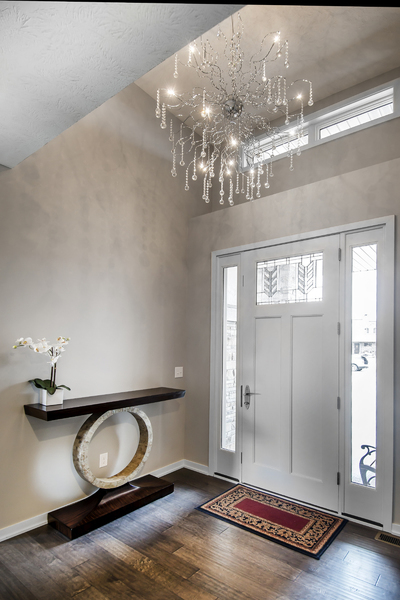 I also love the light fixtures my client selected and the custom stair handrail. 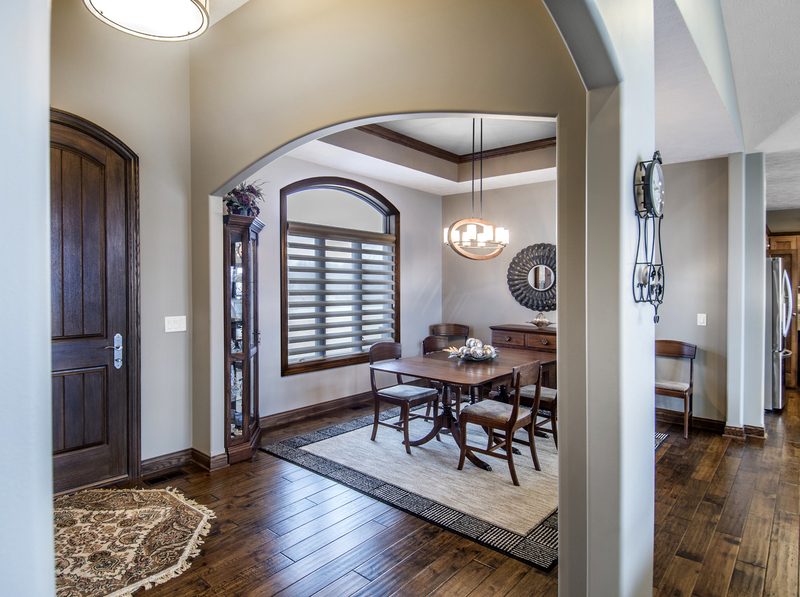 All these details make the home so beautiful. 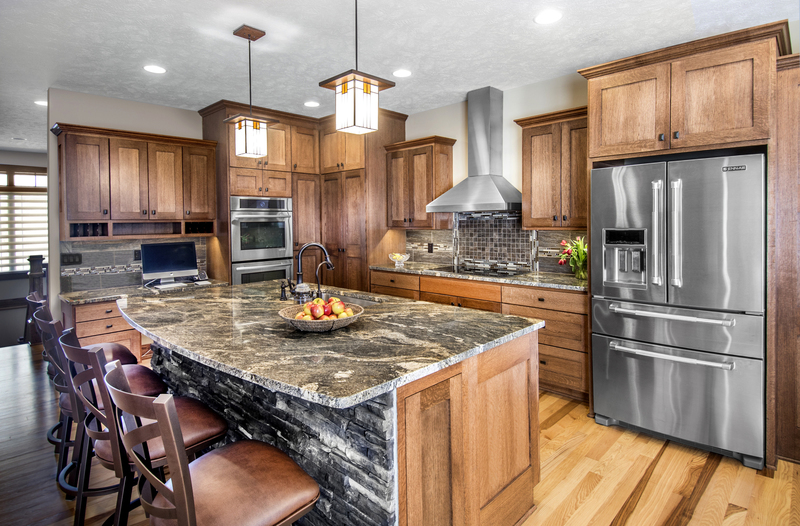 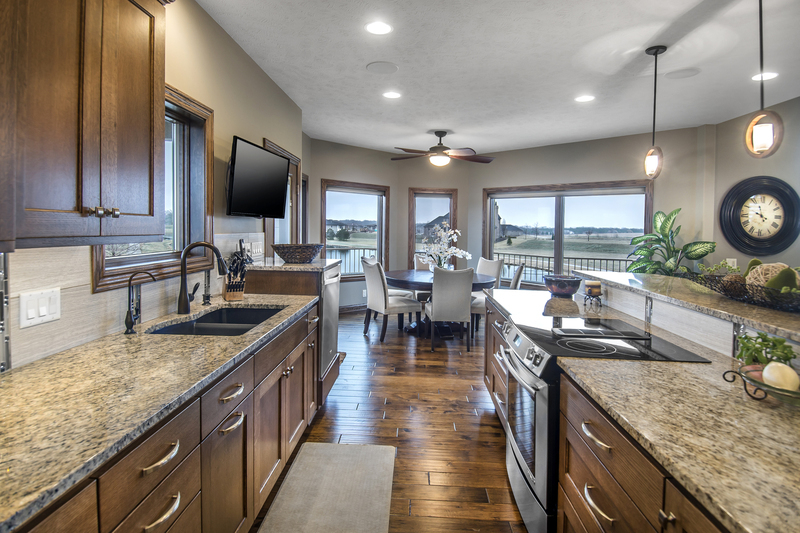 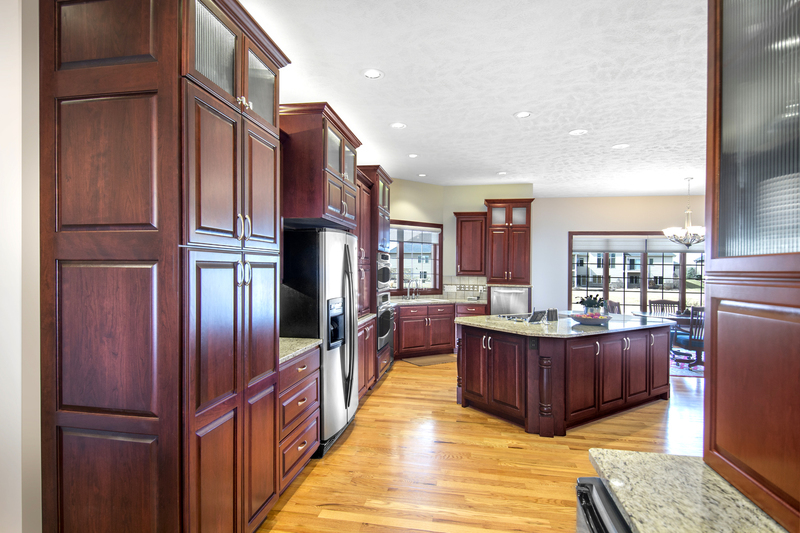 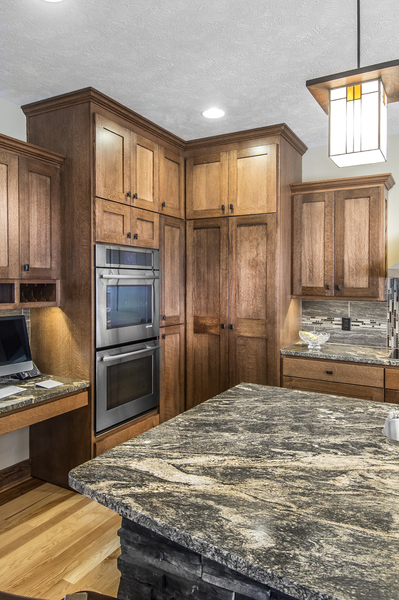 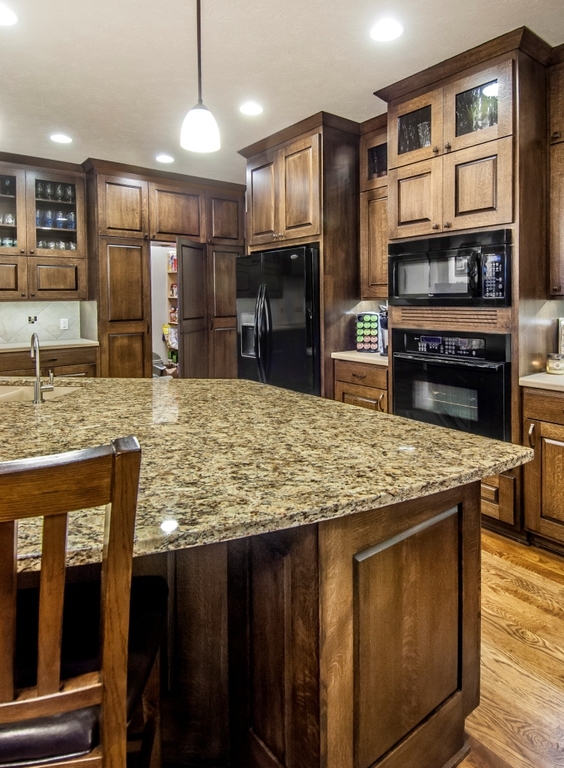 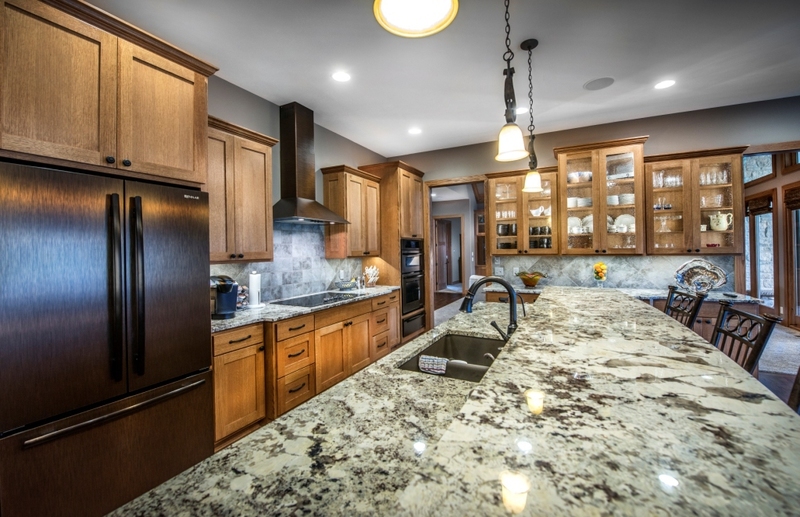 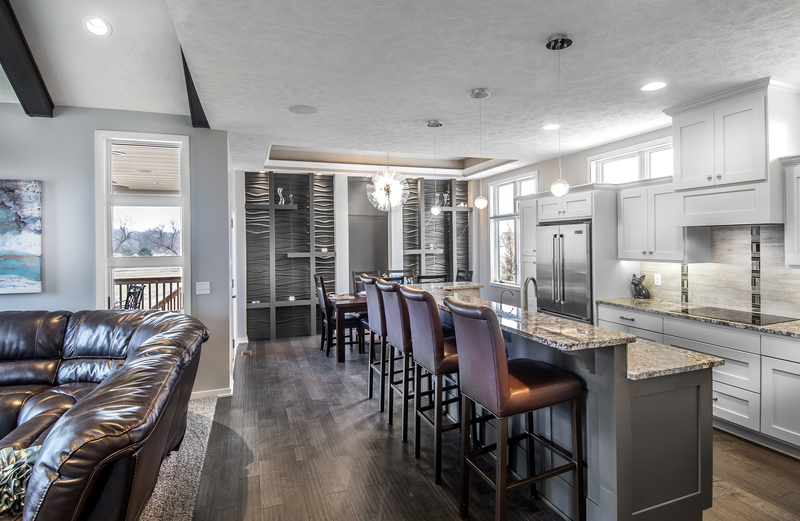 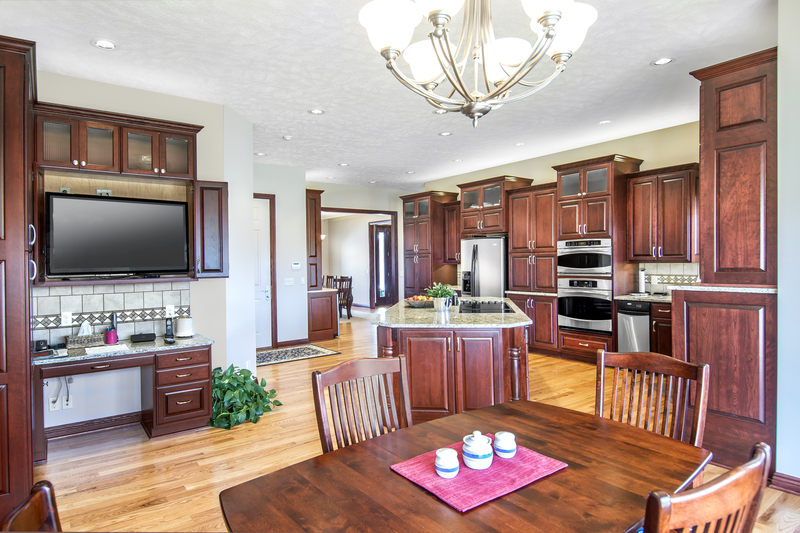 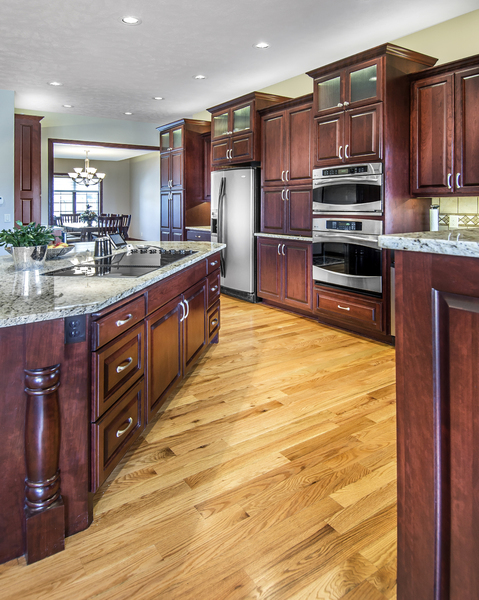 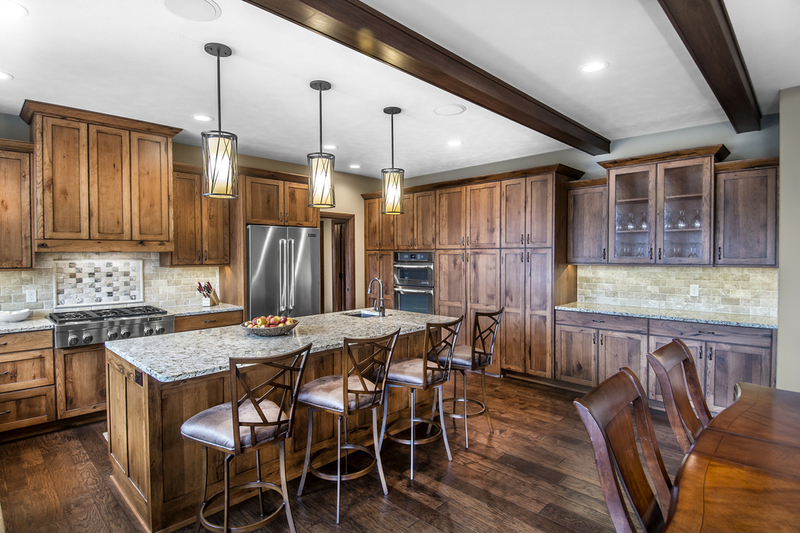 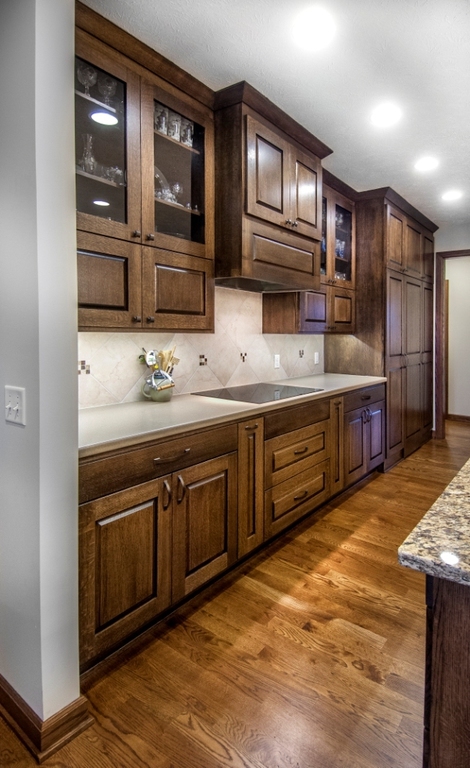 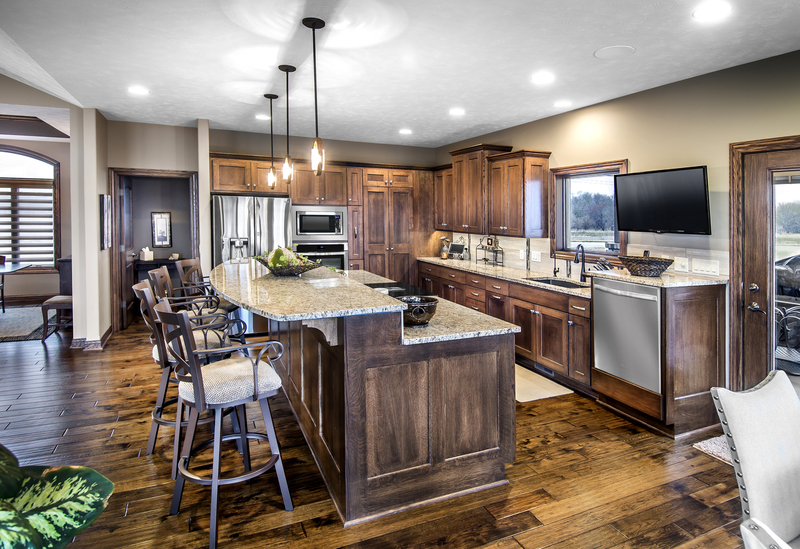 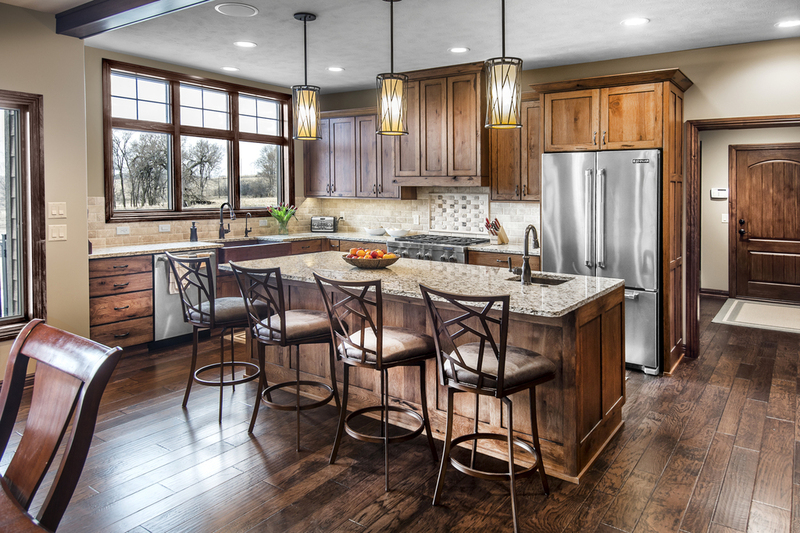 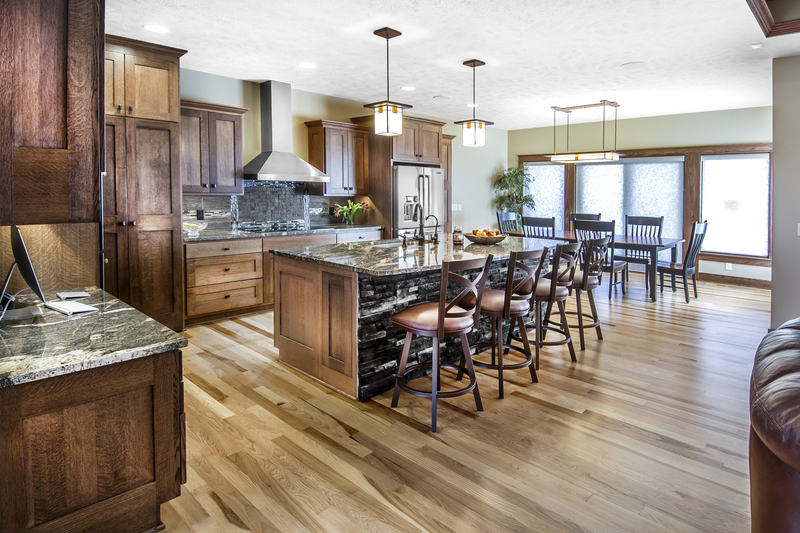 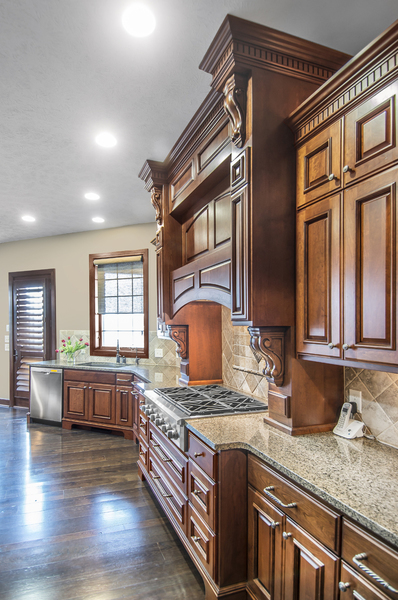 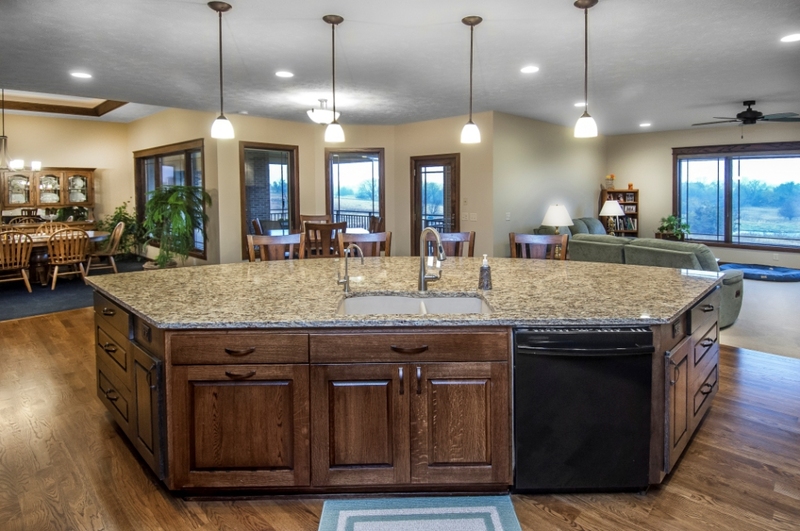 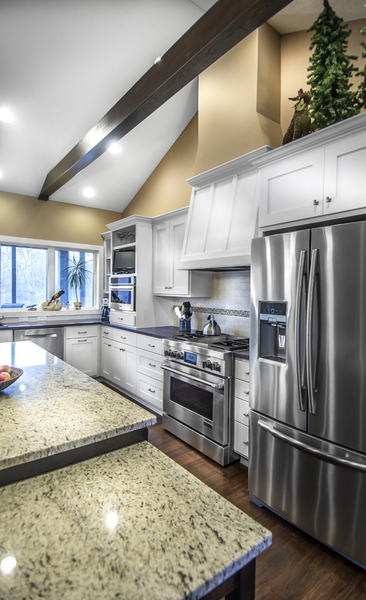 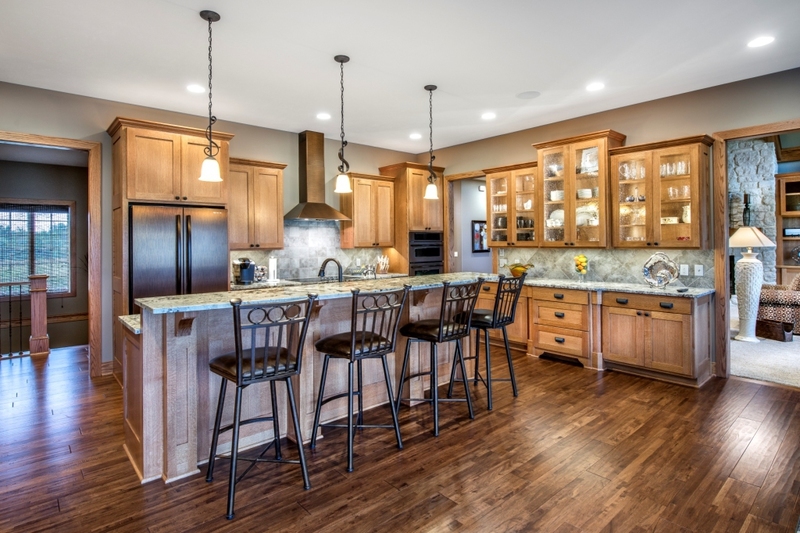 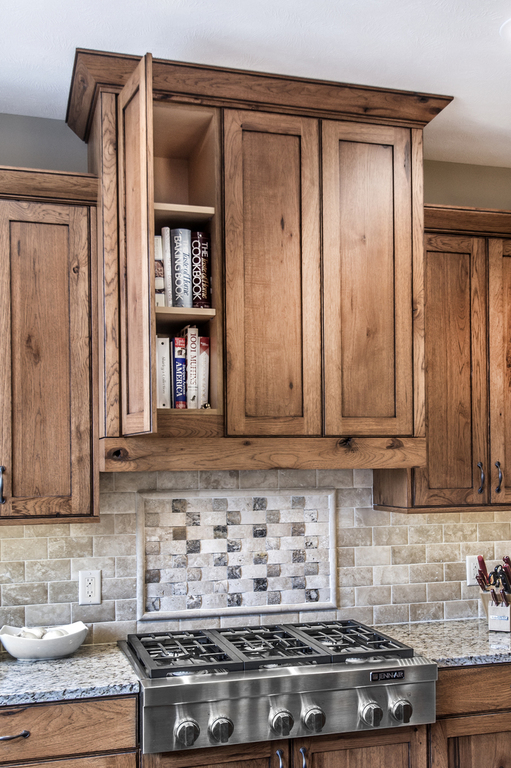 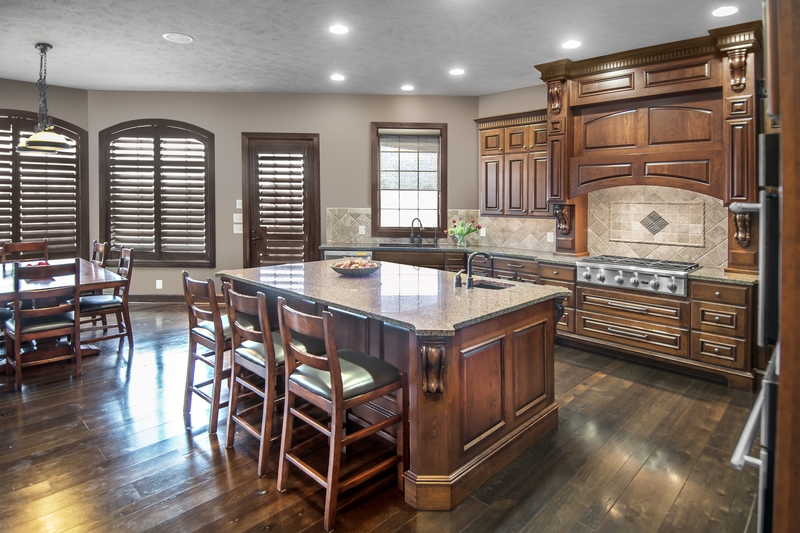 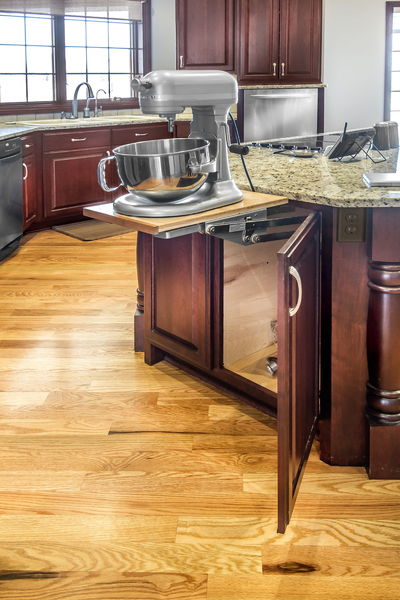 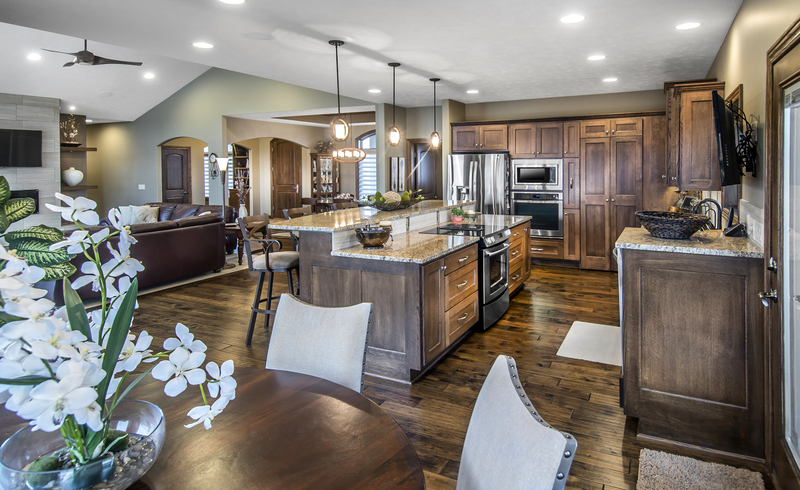 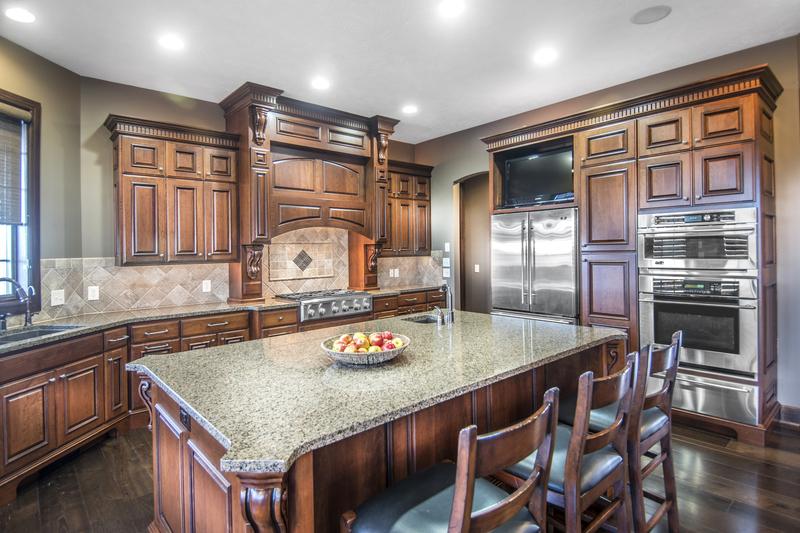 On Houzz, the kitchen is a favorite room! 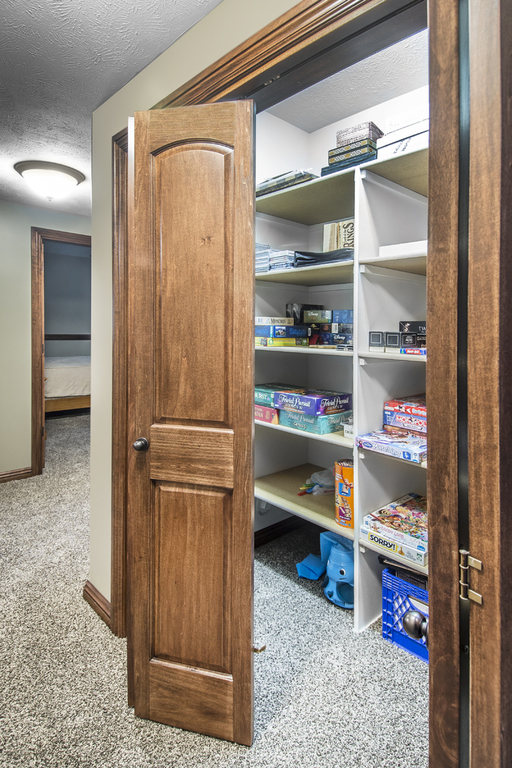 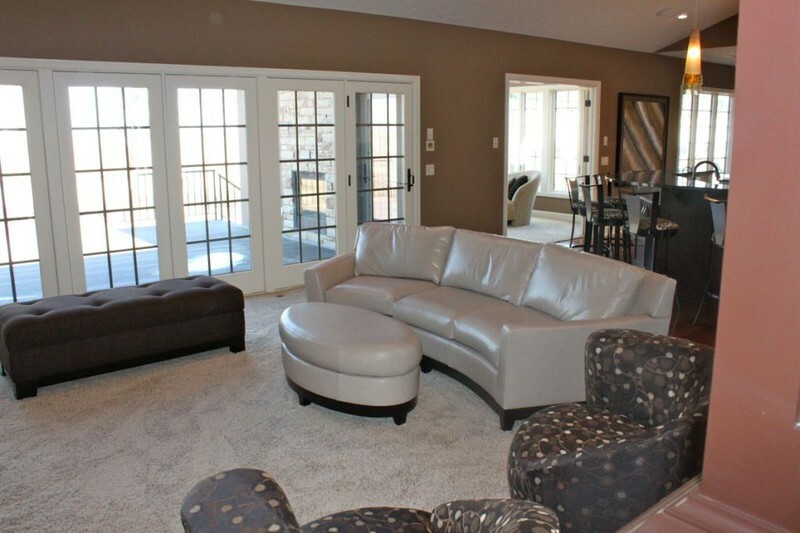 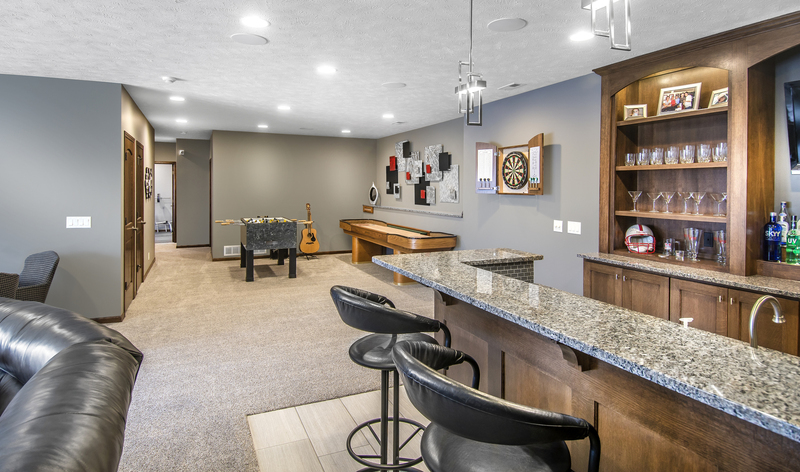 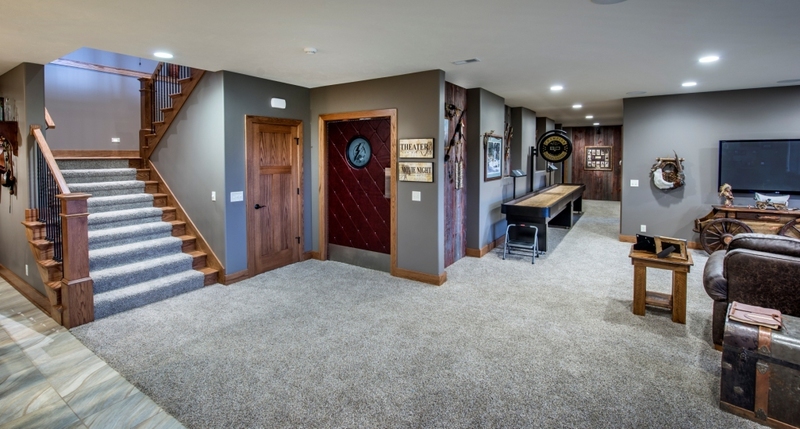 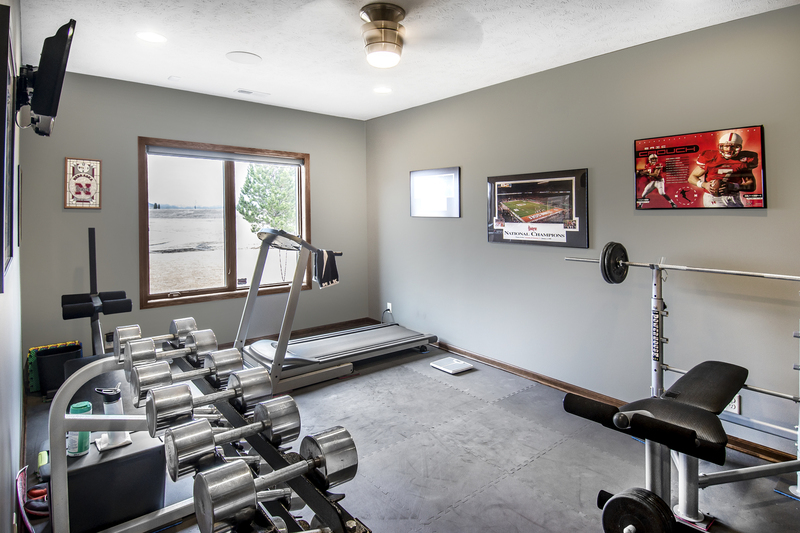 I love the fun game room in the basement, the exercise room and the kitchen/living room space. 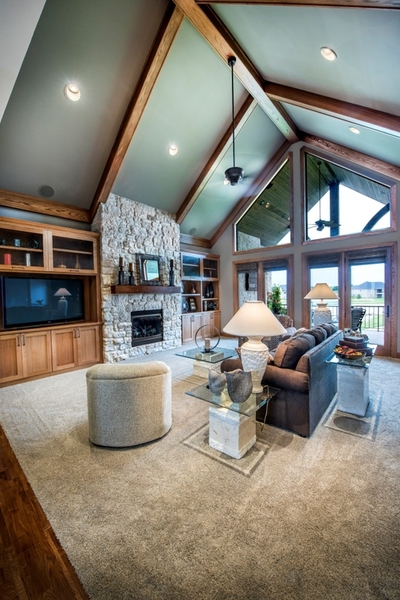 We used large windows to capture the amazing views to the water! 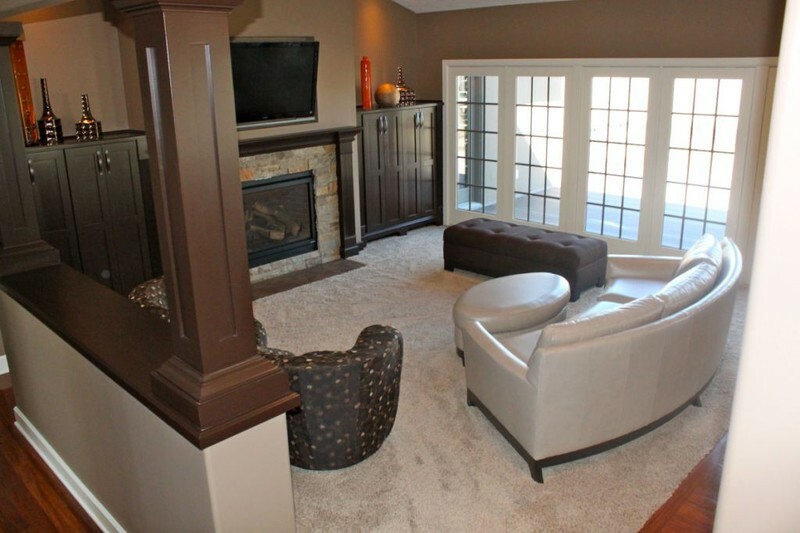 I also love how the fireplace finished out and I think it looks stunning. 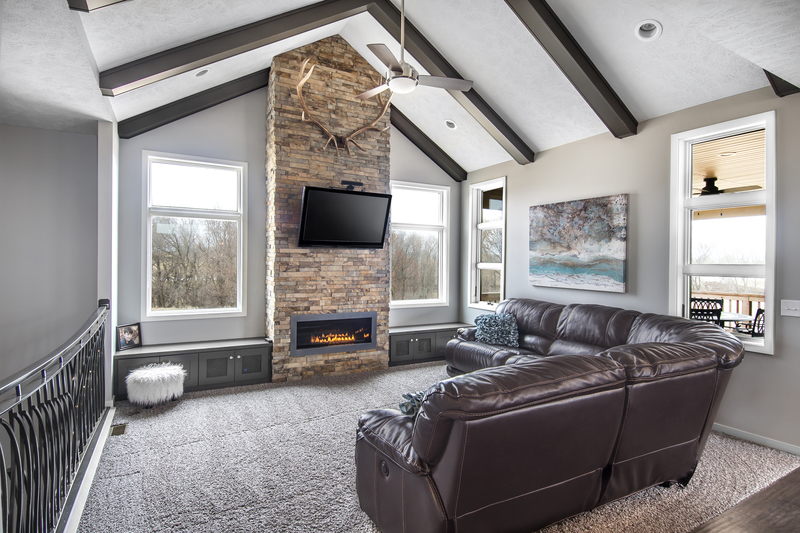 We made the living room cozy and also created a design where the TV and the fireplace both work together! 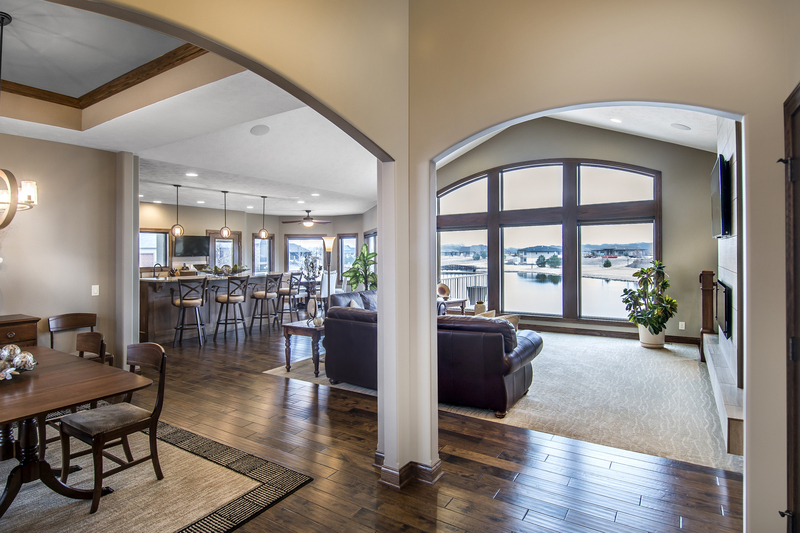 And notice how the interior arches accent the window arches! 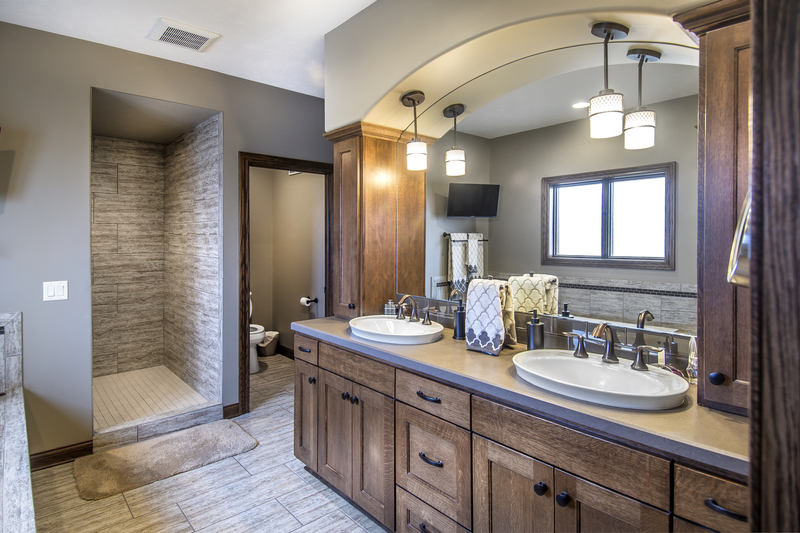 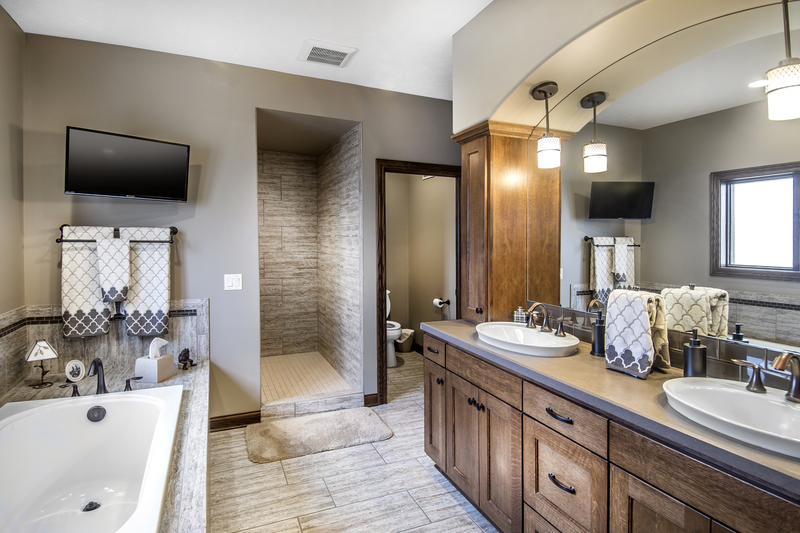 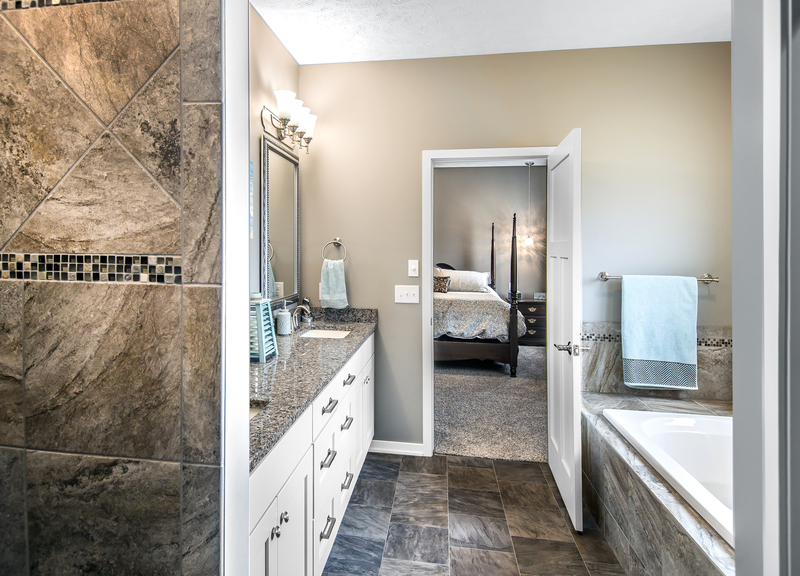 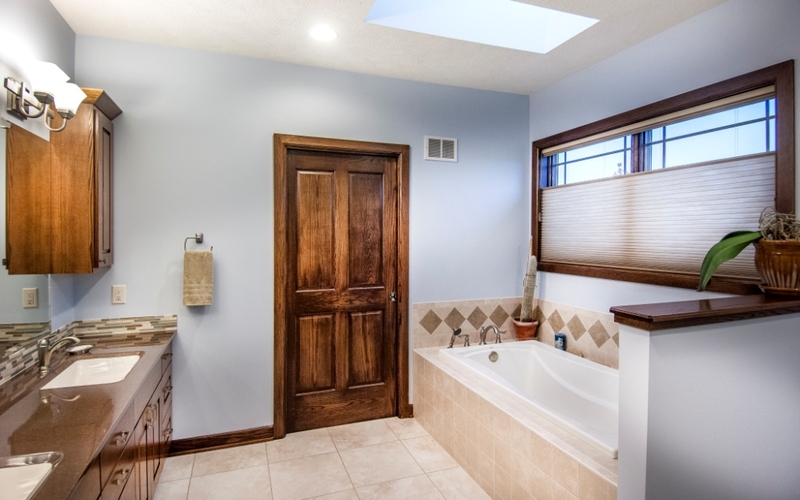 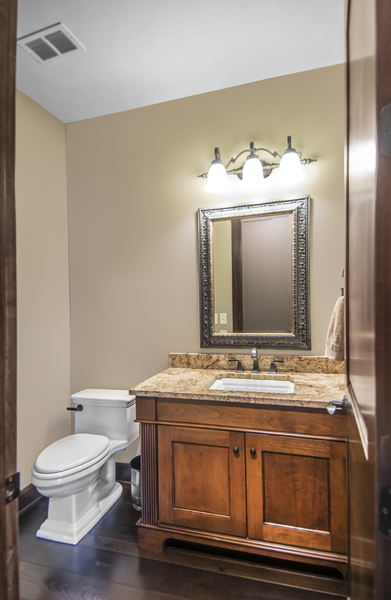 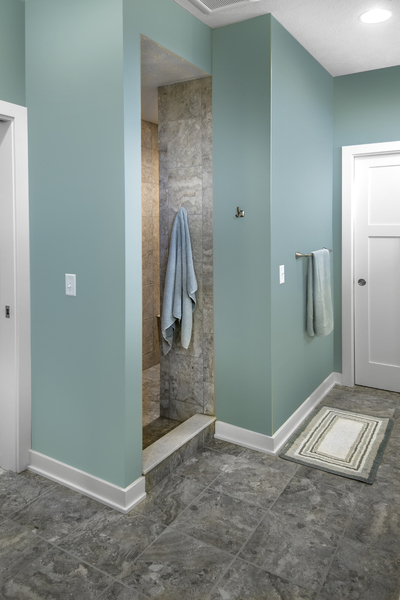 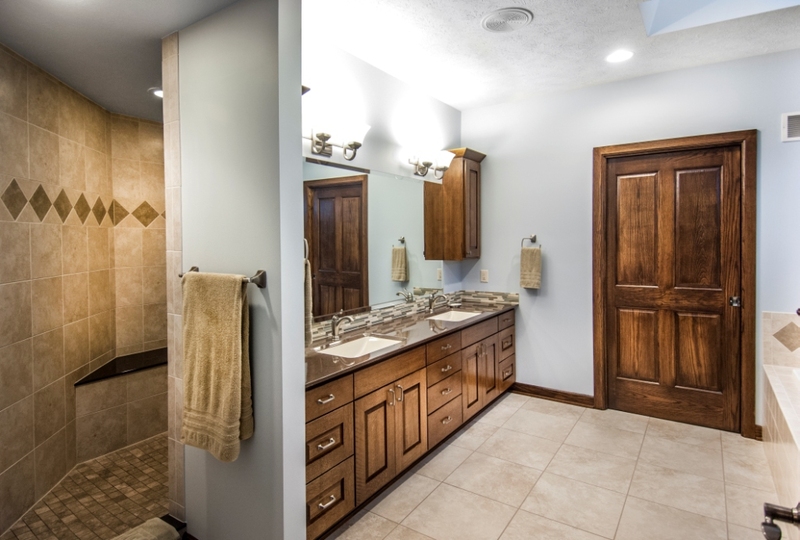 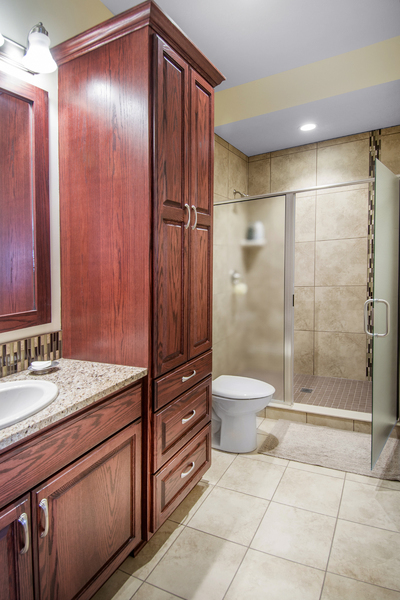 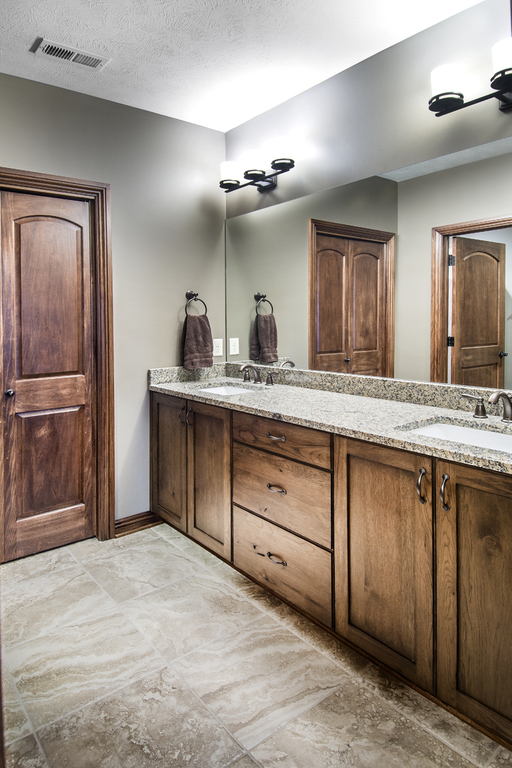 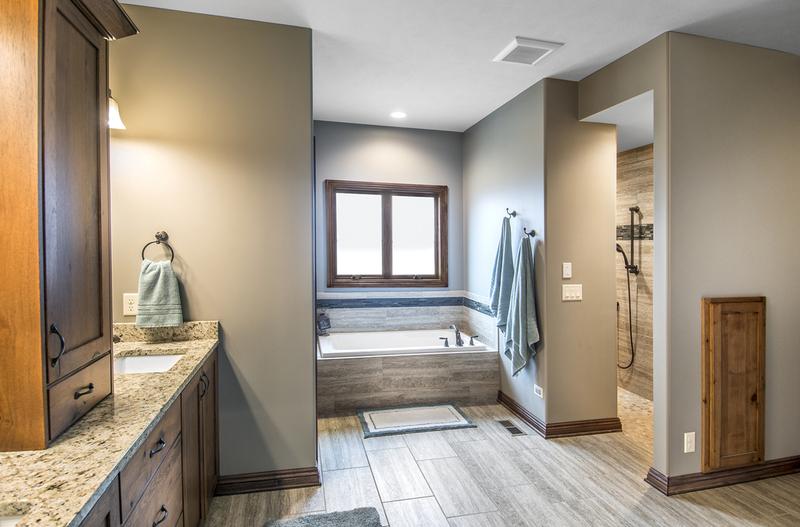 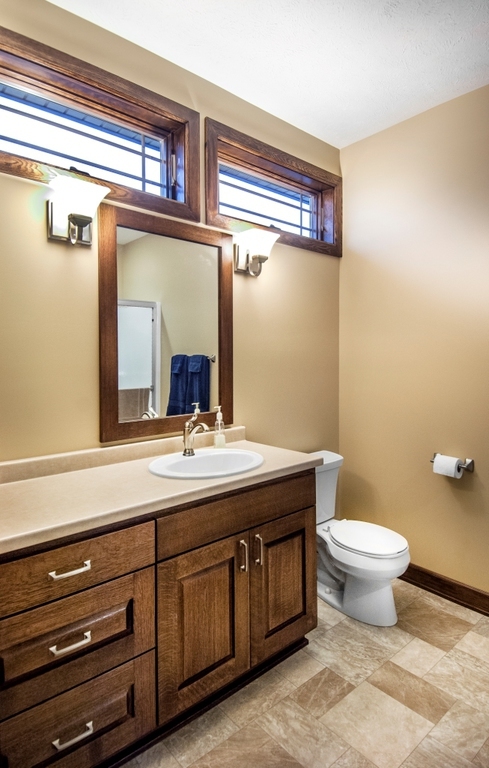 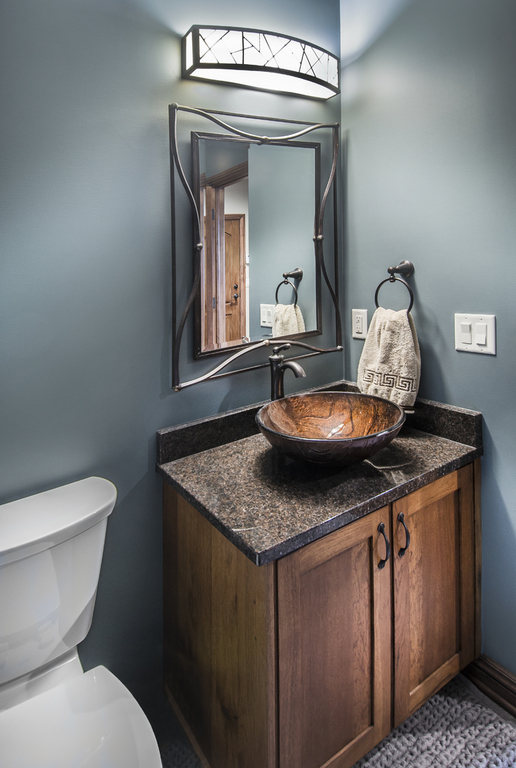 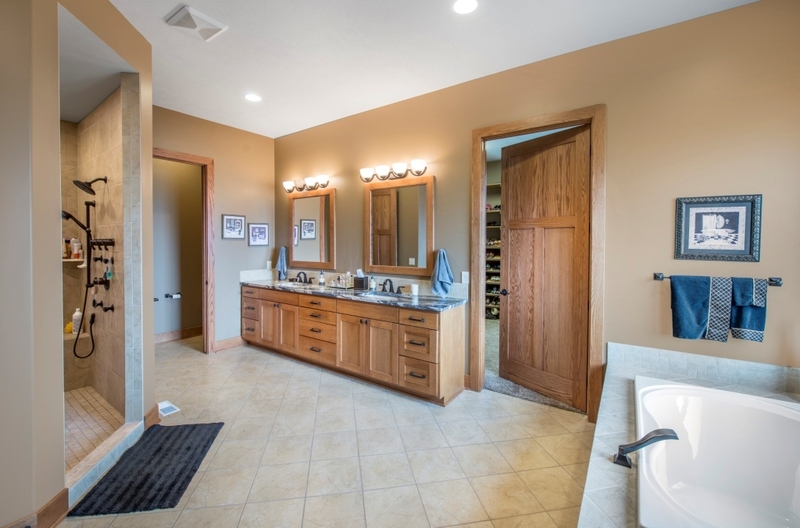 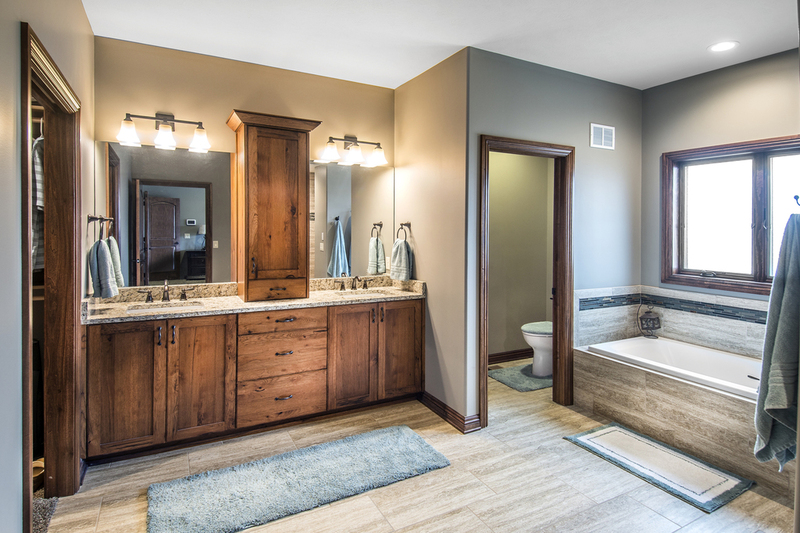 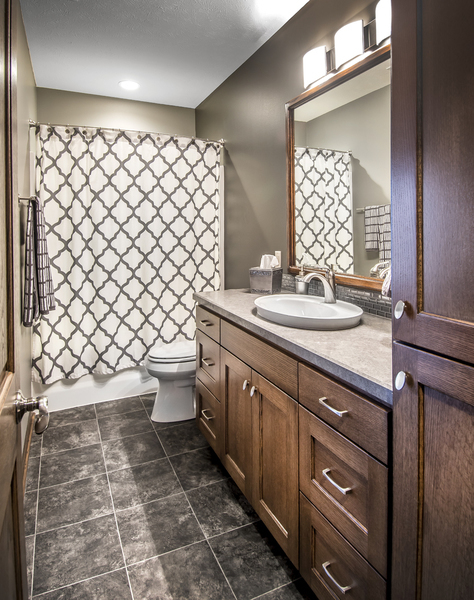 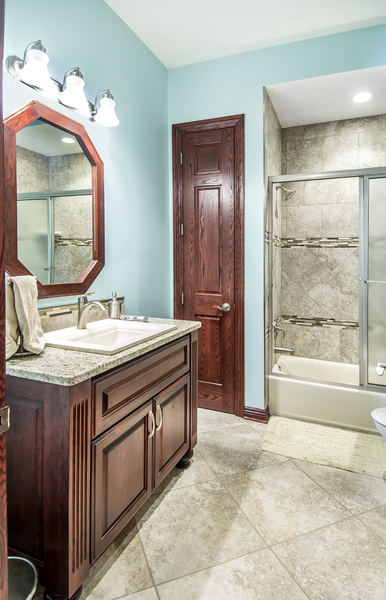 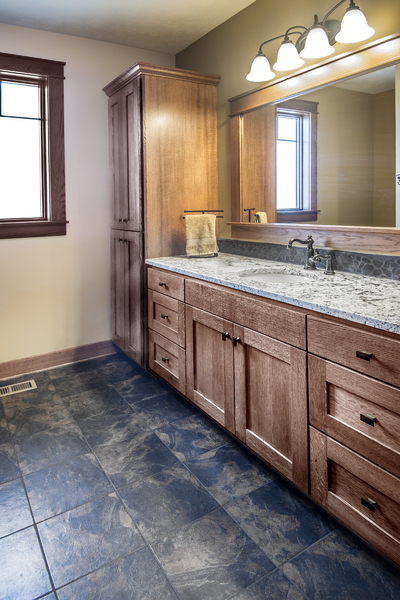 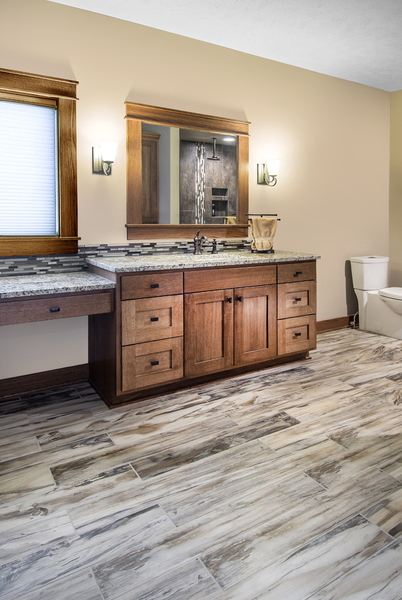 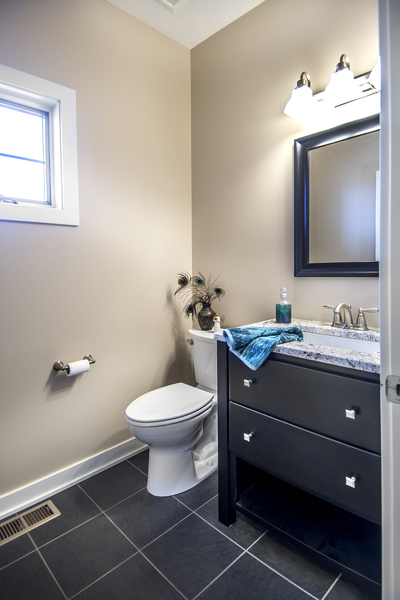 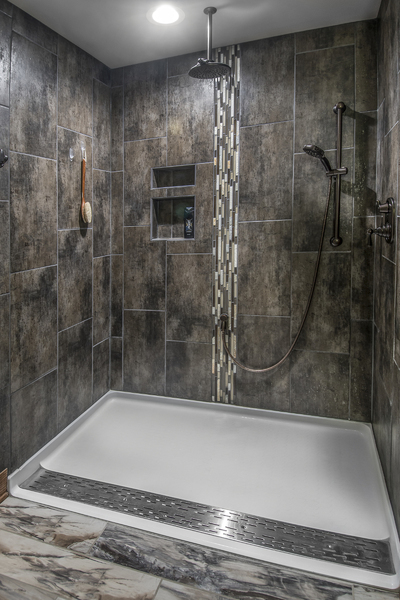 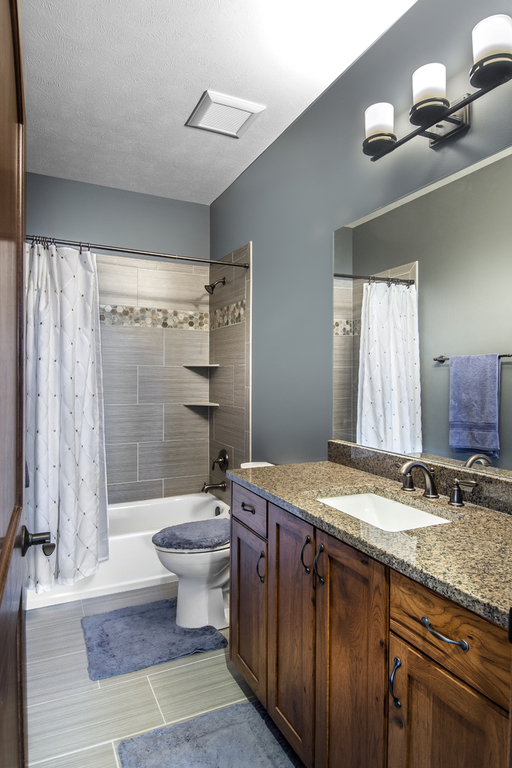 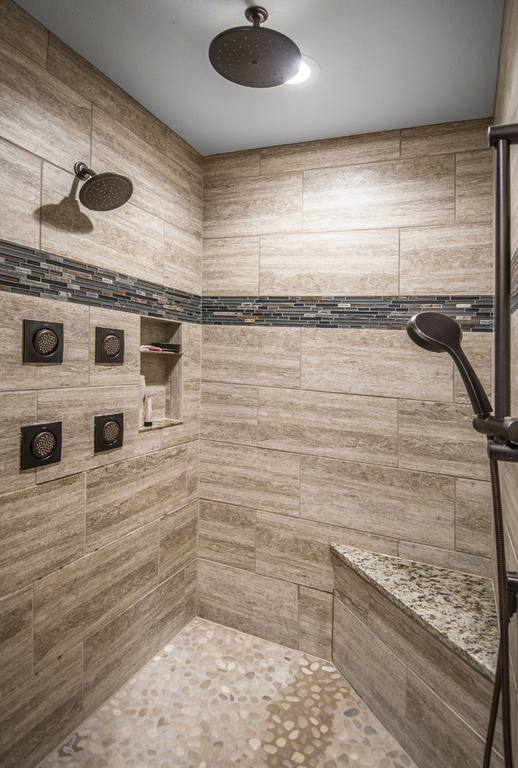 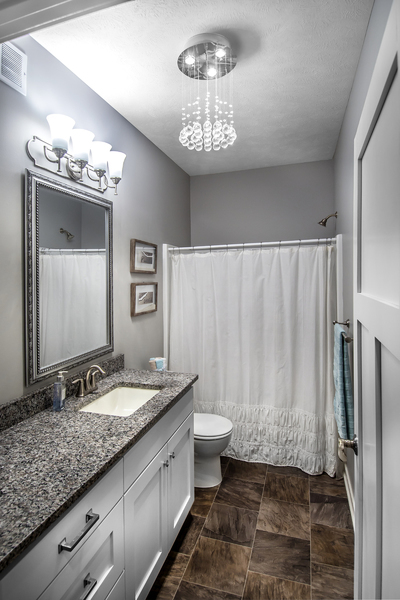 The multiple shower heads in the master bath and the half bath are favorites on Houzz. 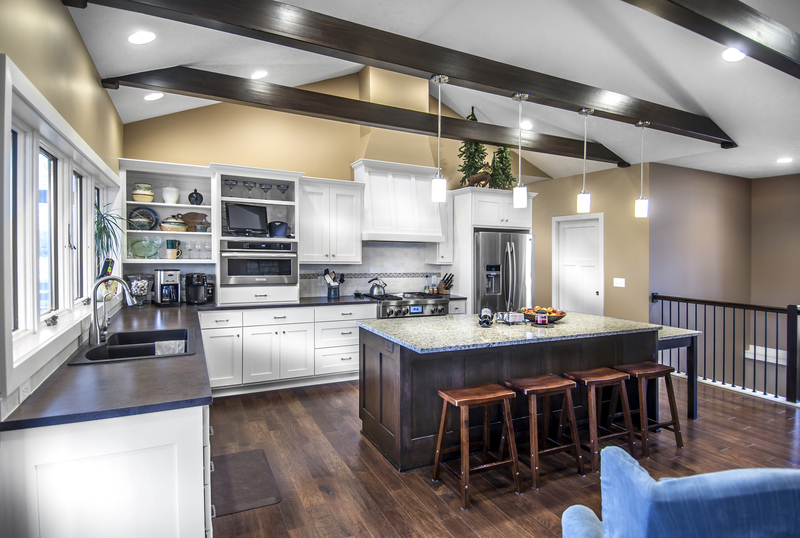 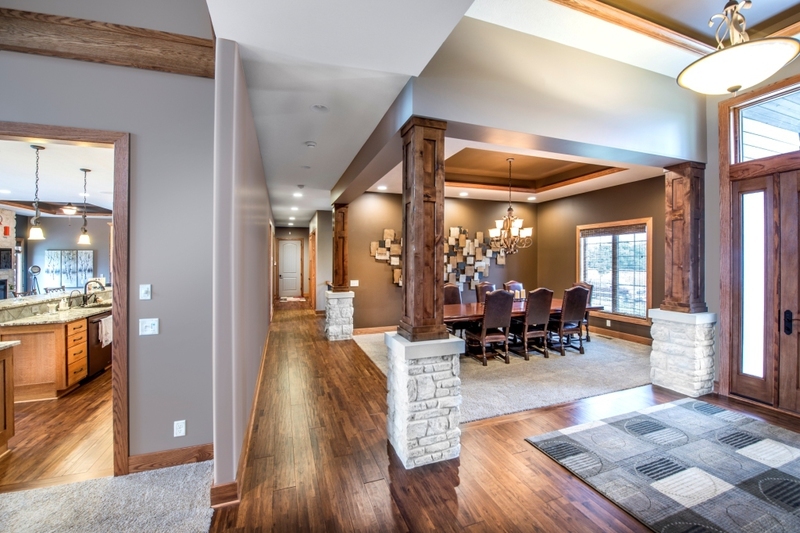 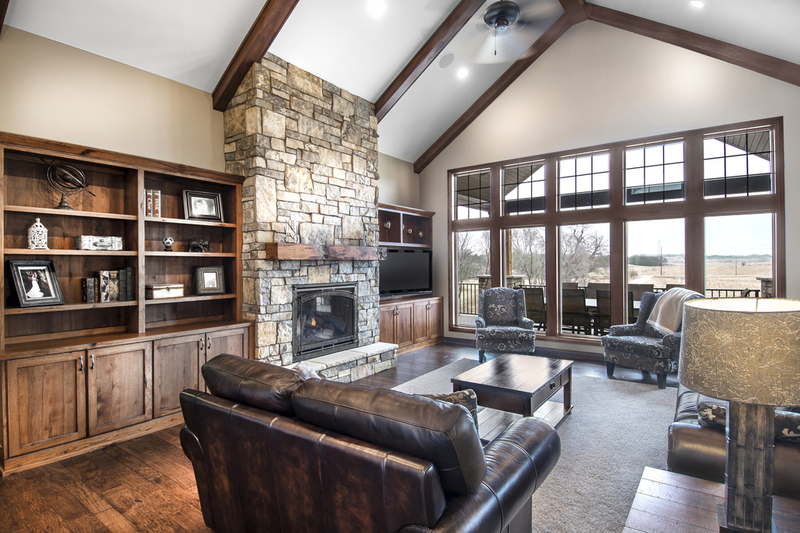 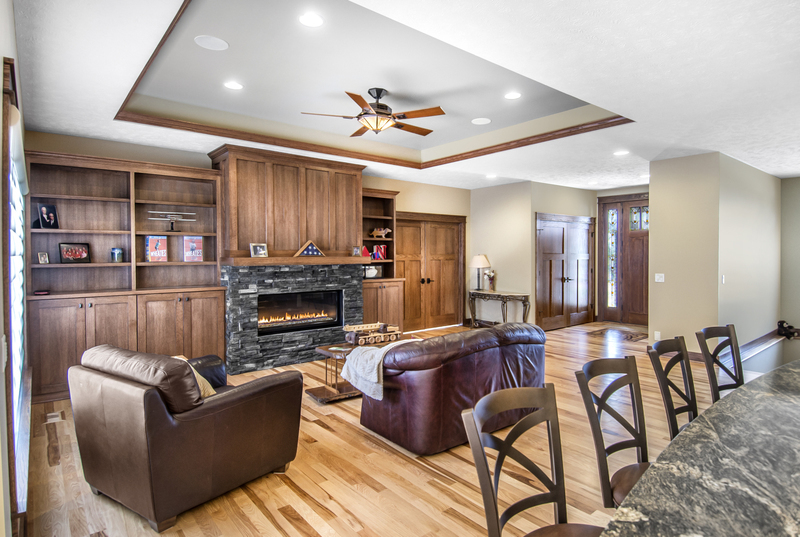 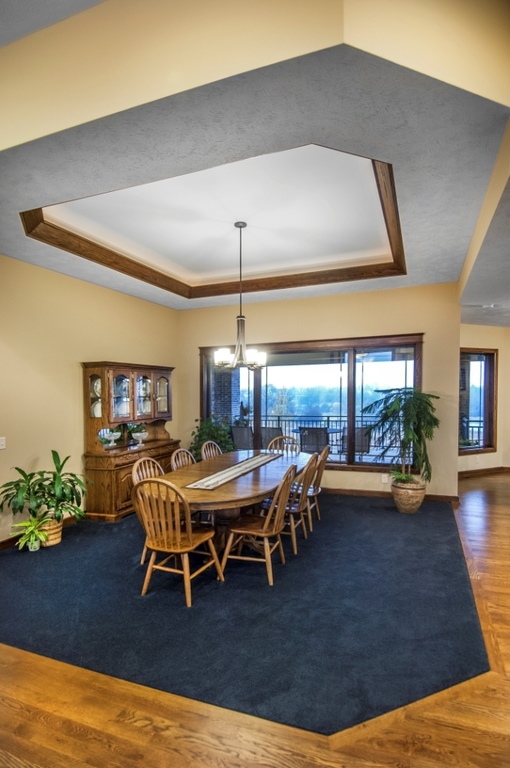 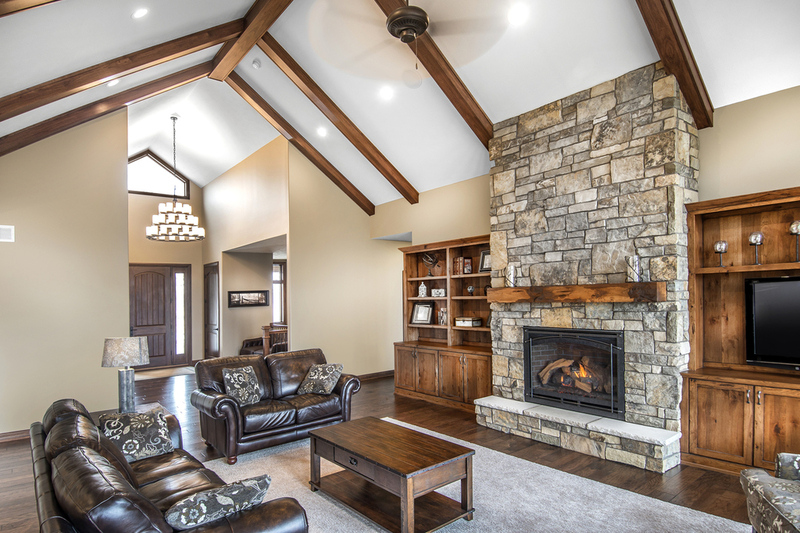 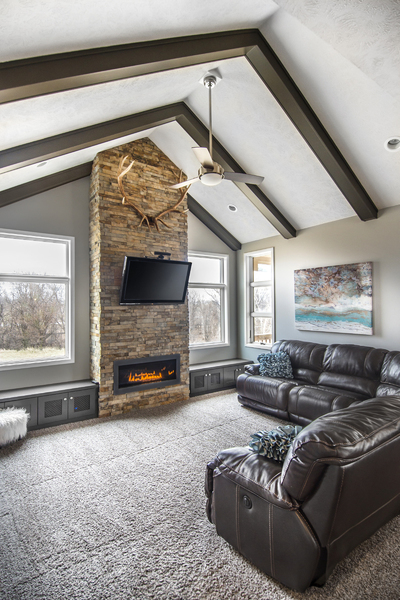 I love the family room with the wooden beams and the kitchen! 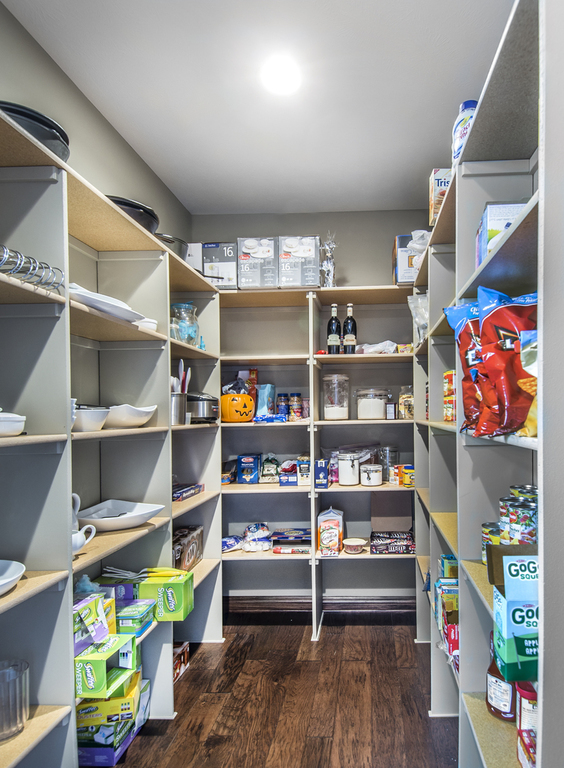 It is a 'U" shape with a hidden pantry on one side. 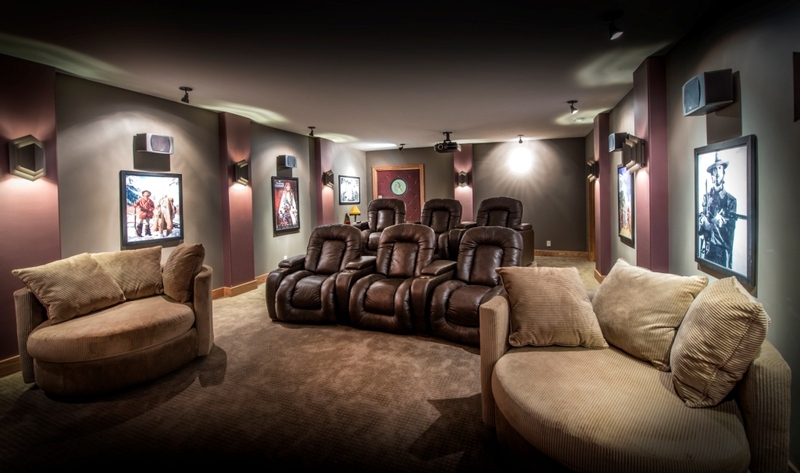 The interior designer selected chairs that matches the lights and really makes it all just work together perfectly! 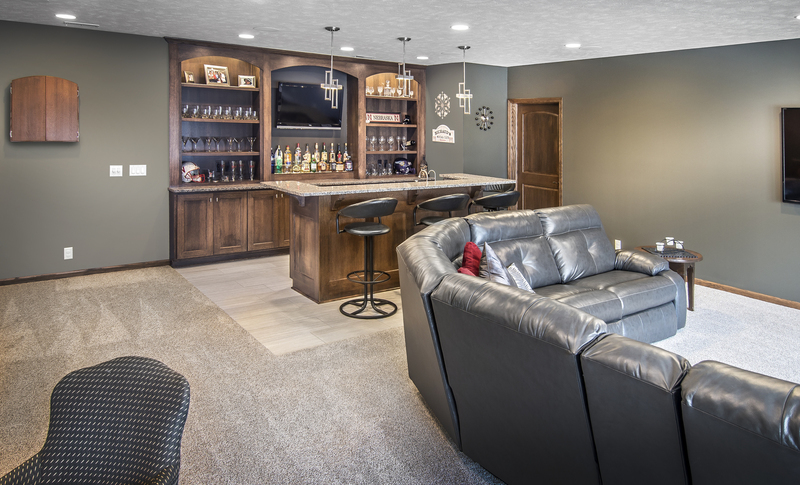 I enjoy working with an interior designer that builds on the base we created and then brings all together in the furniture and color selection! 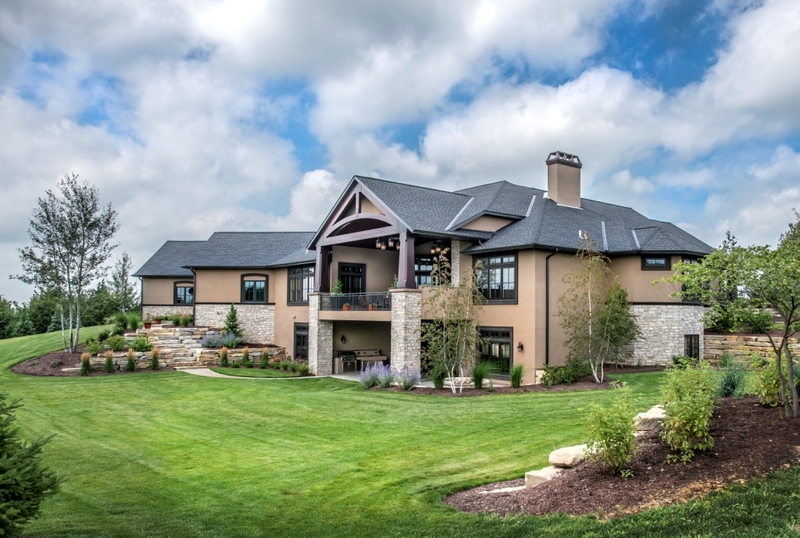 I was bought in as an exterior consultant on this amazing project! 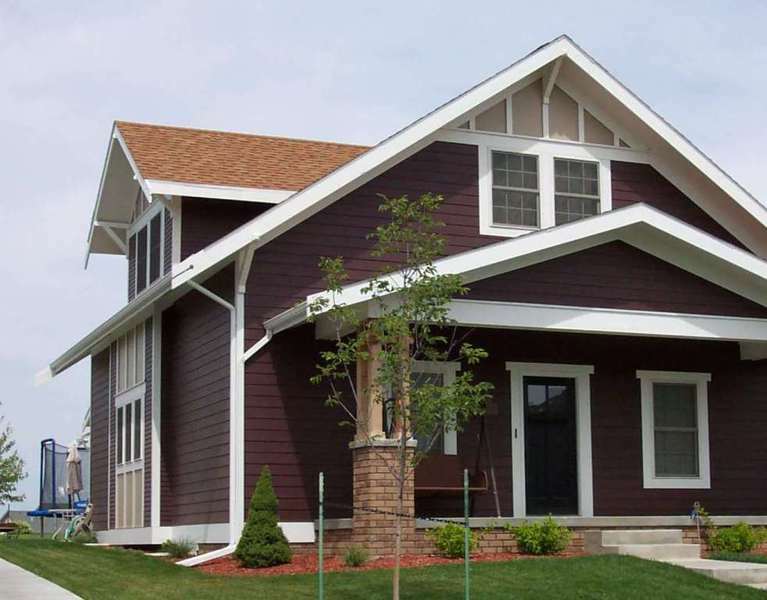 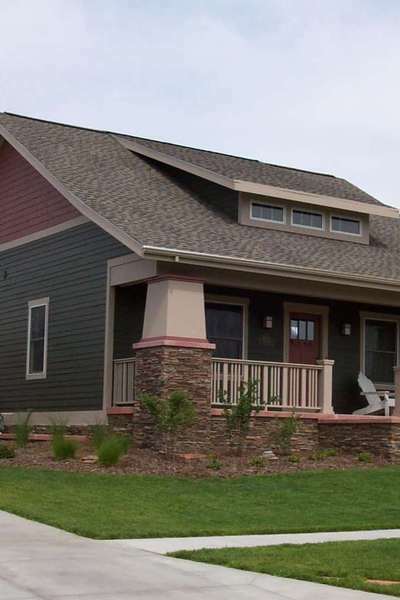 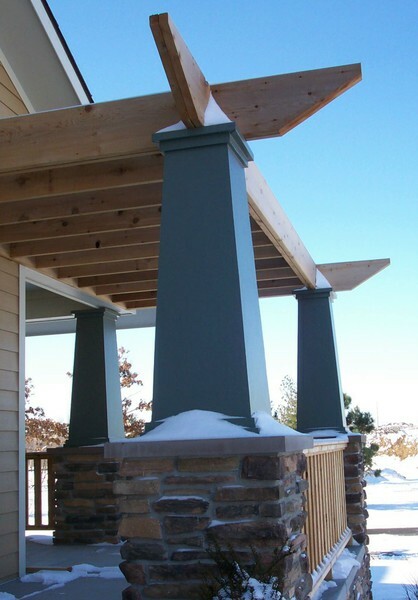 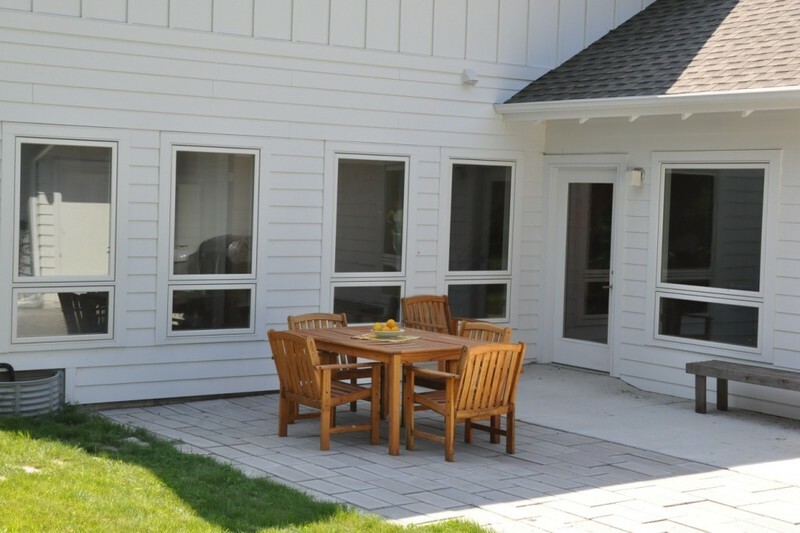 I provided several different design ideas so they could see options for the exterior entry, rear porch and elevations. 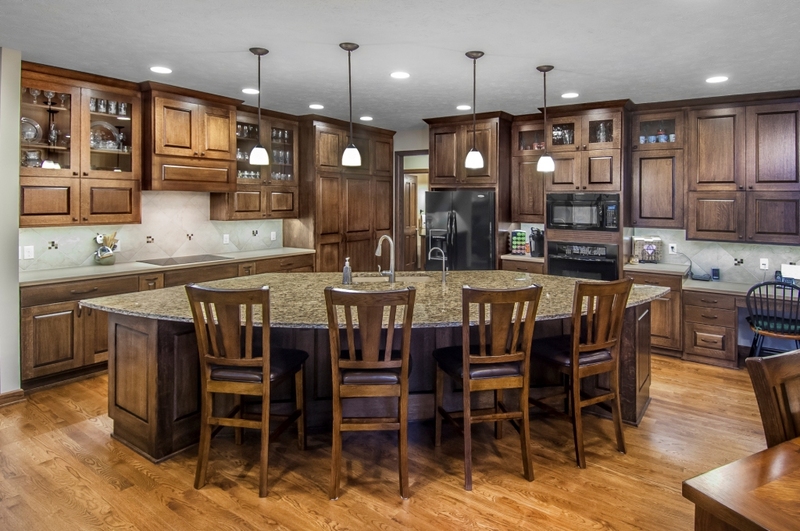 This kitchen is one of the most popular kitchens I have ever designed on Houzz. 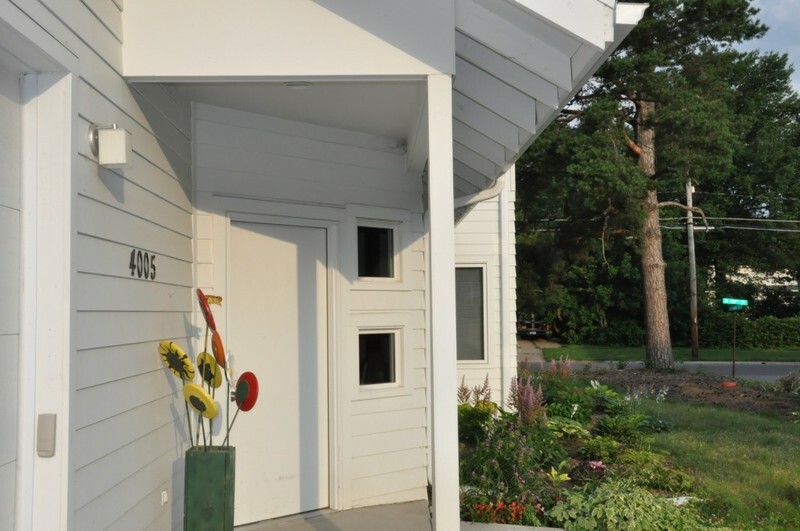 The island is simply amazing! 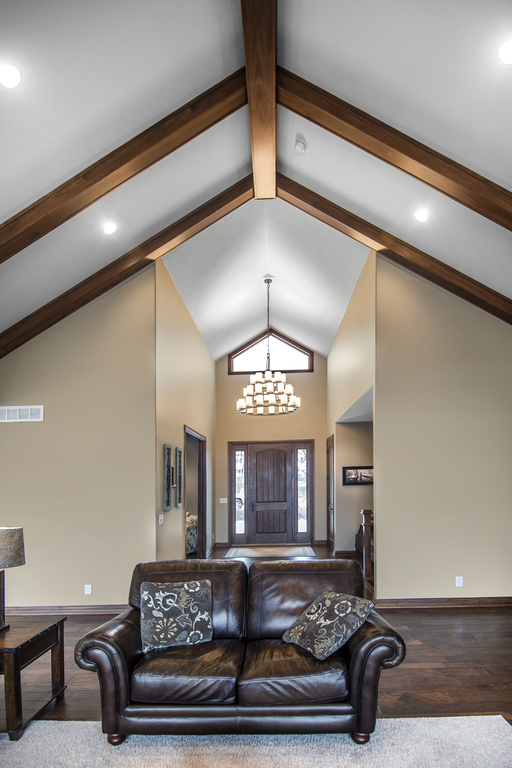 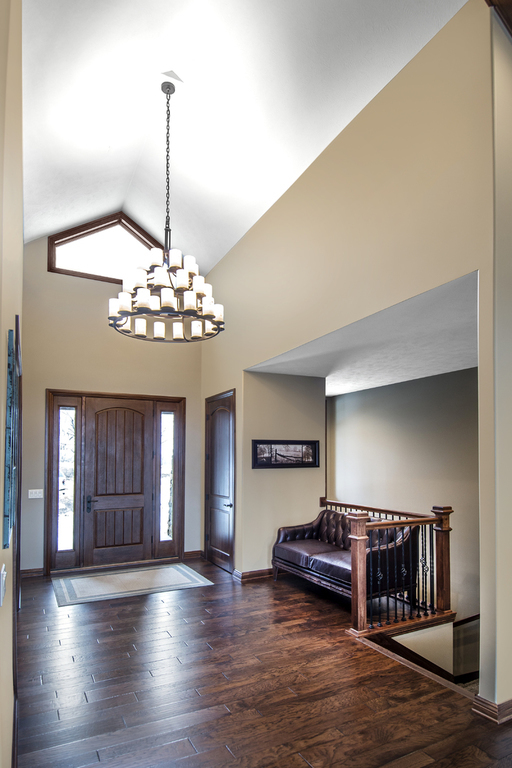 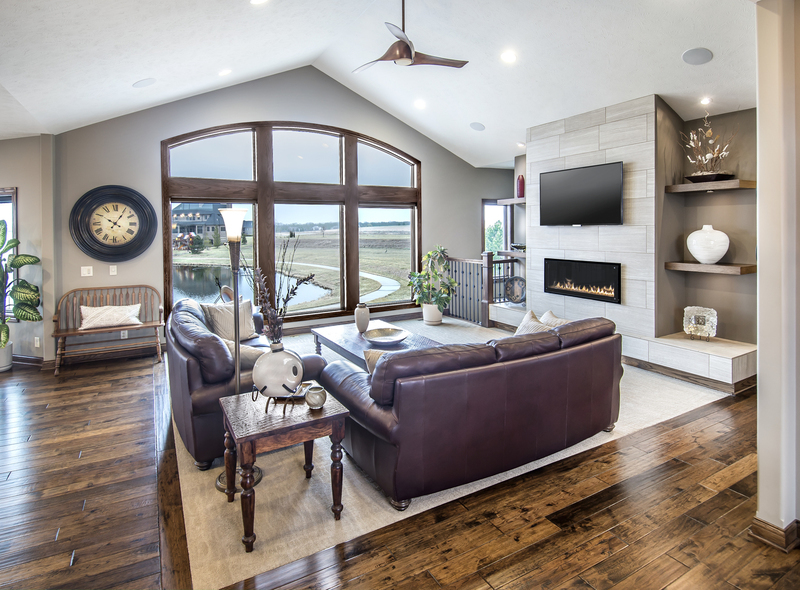 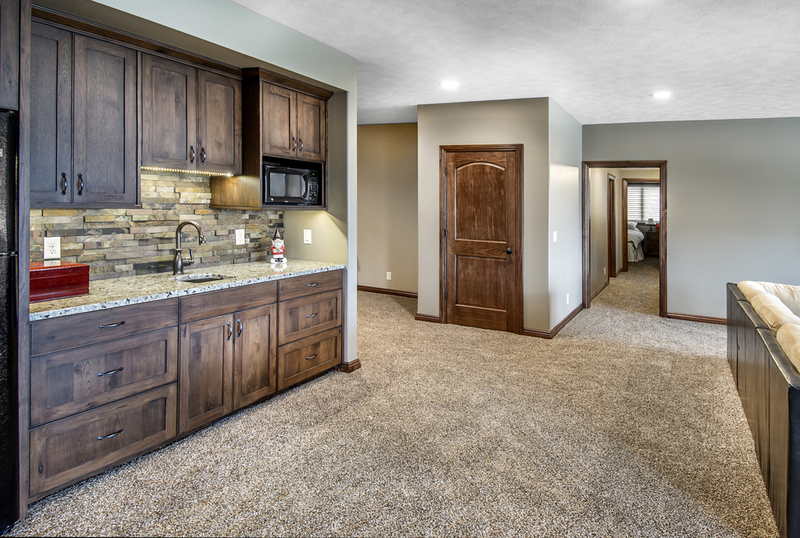 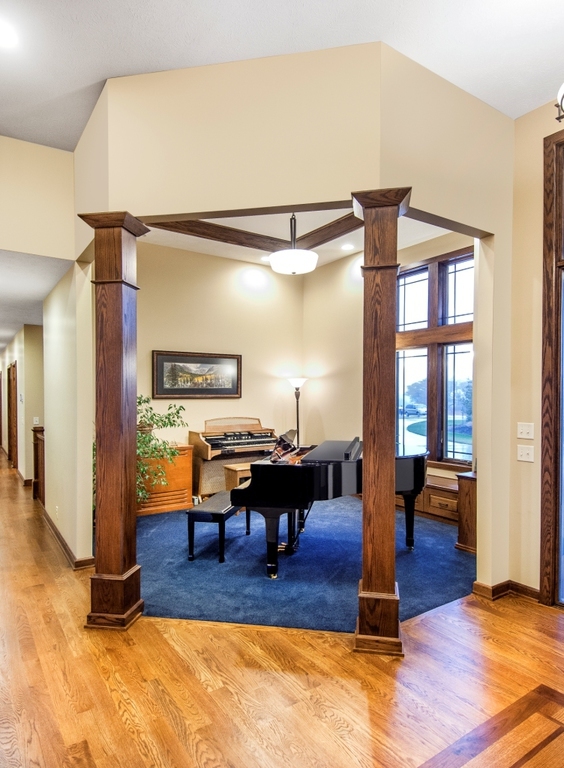 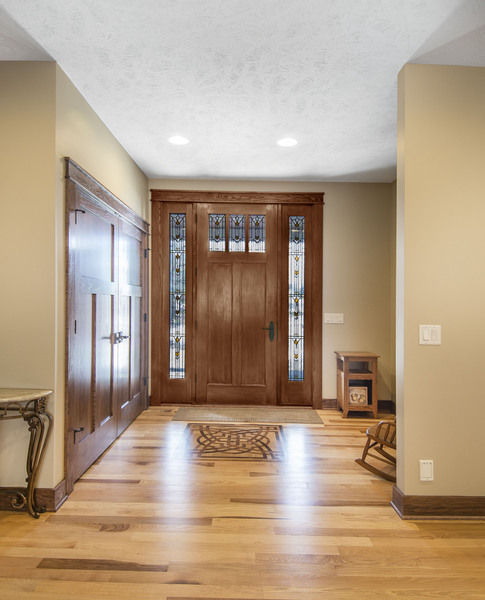 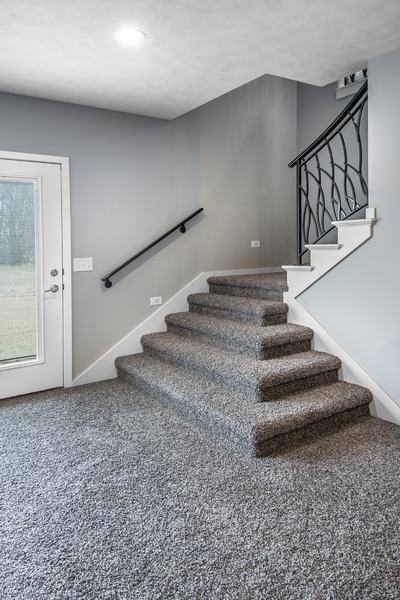 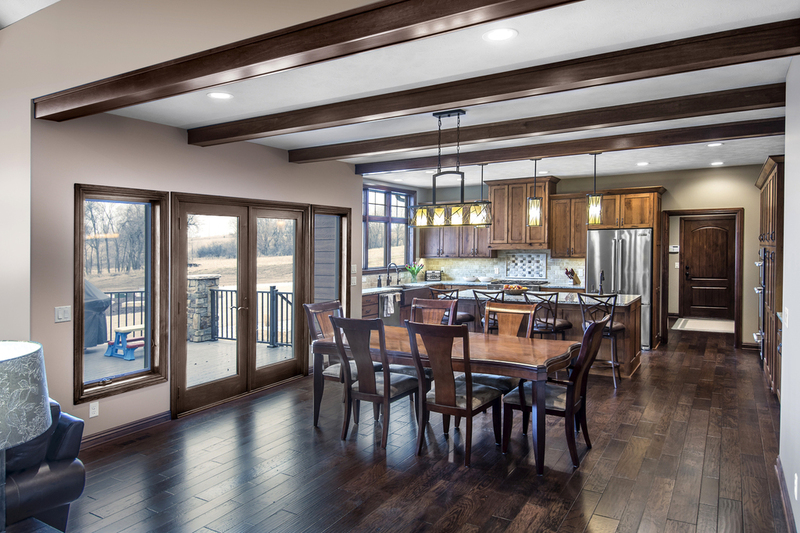 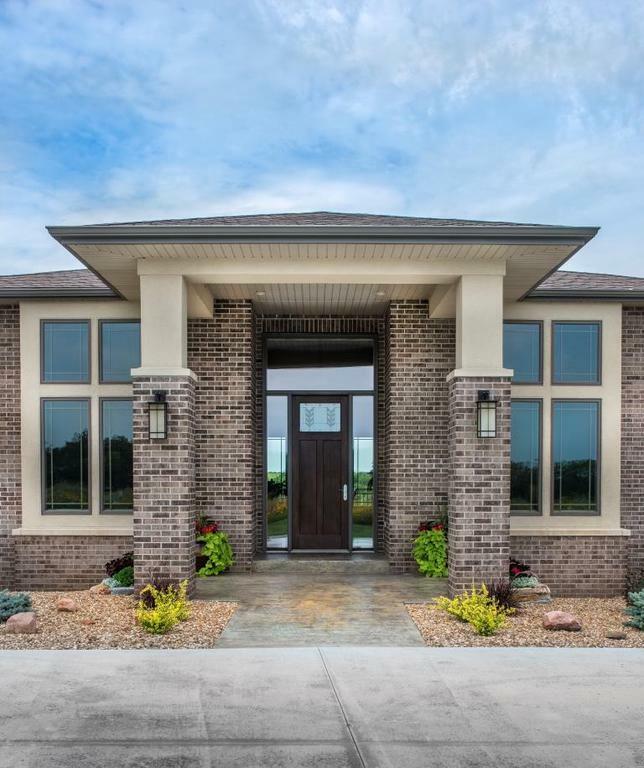 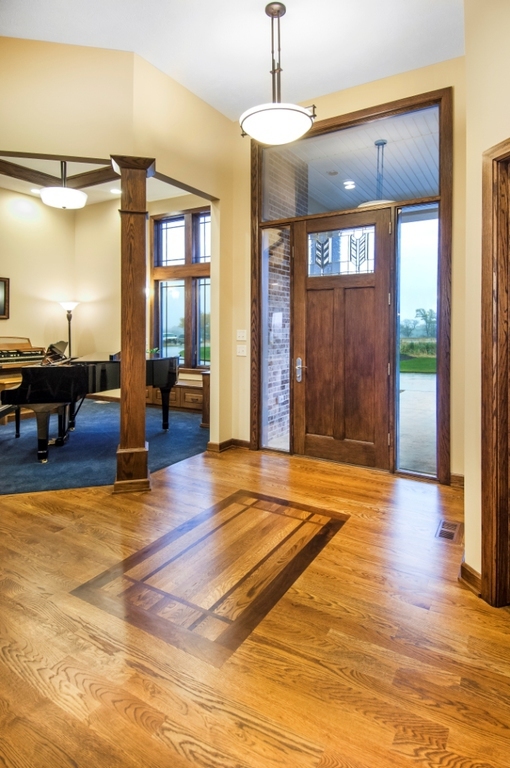 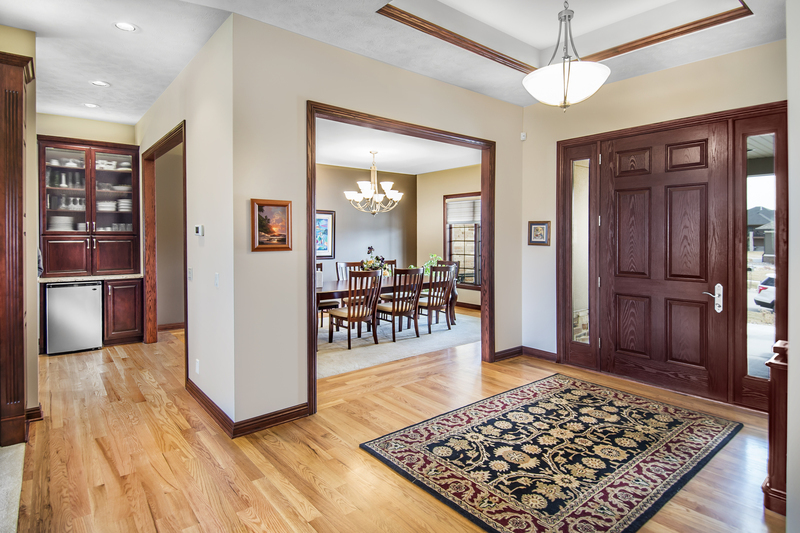 My favorite part of this home is the entry with really beautiful wood inlay pattern that gives this prairie home the perfect final detailing! 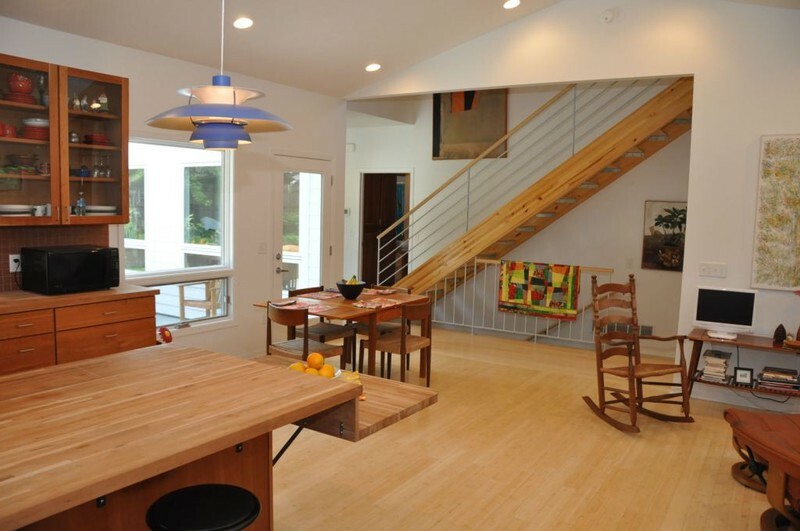 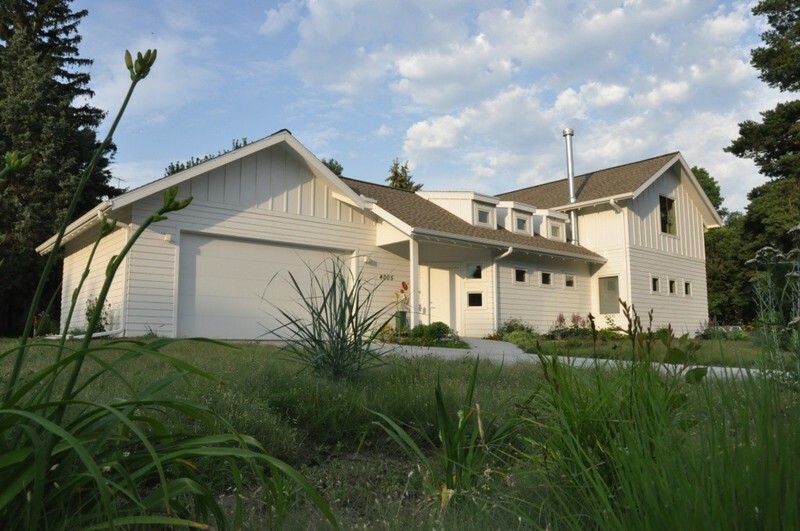 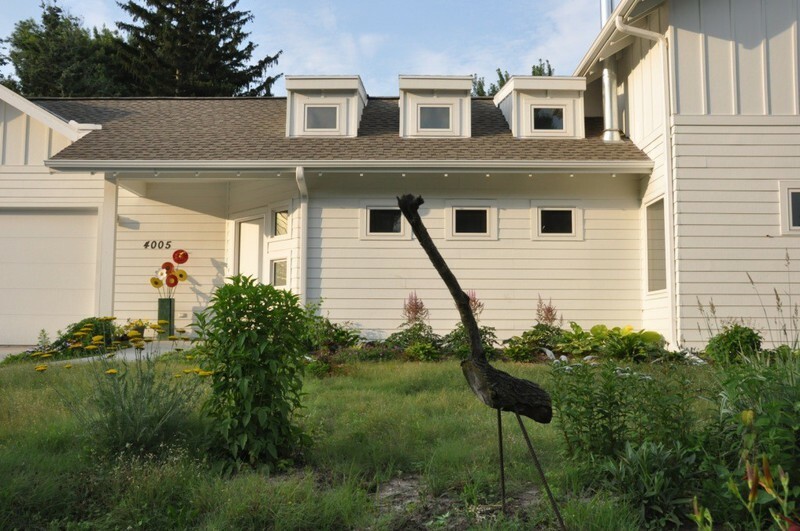 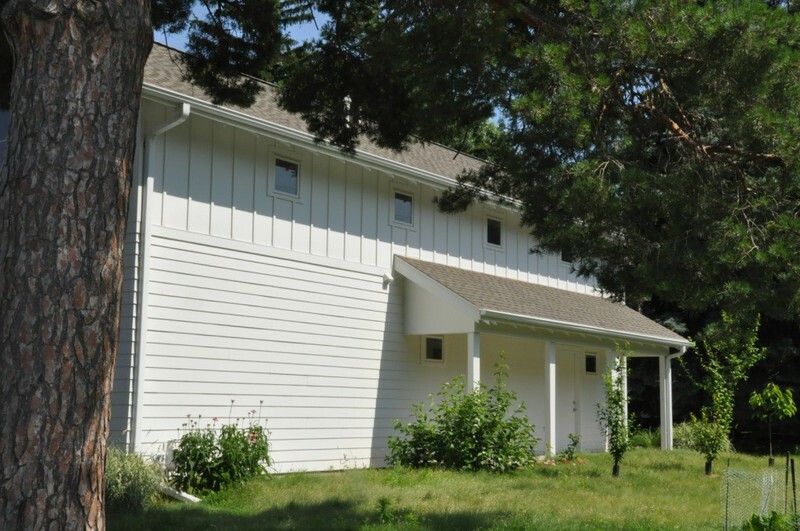 This project was featured on the AIA Architects' Home Tour. 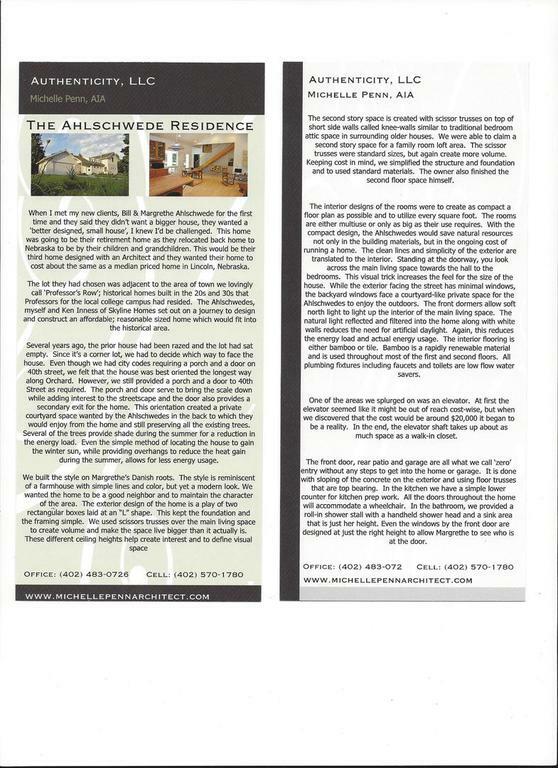 I was very honored to have been selected. 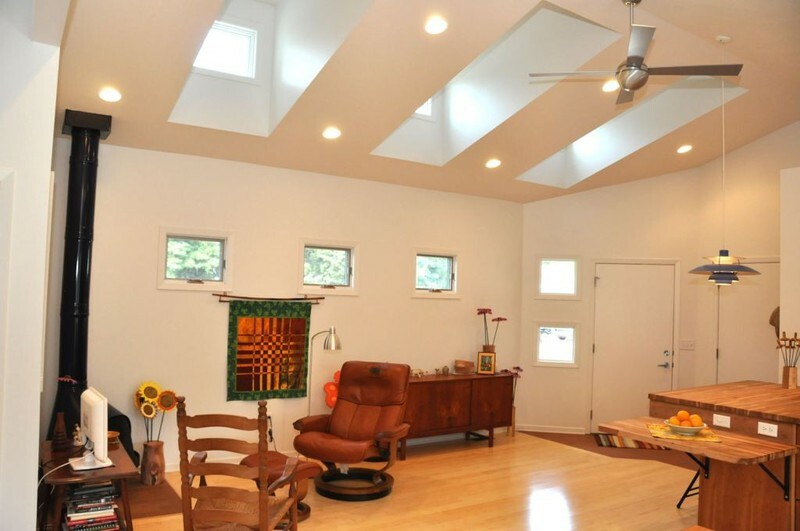 This home is very unique in that it is totally wheelchair accessible. 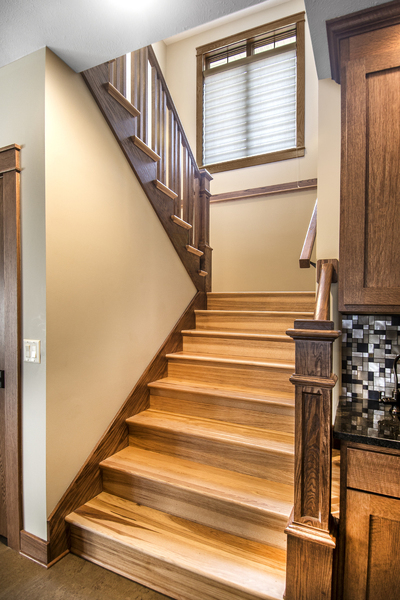 We designed an elevator so all levels of the home would be accessible for my client. 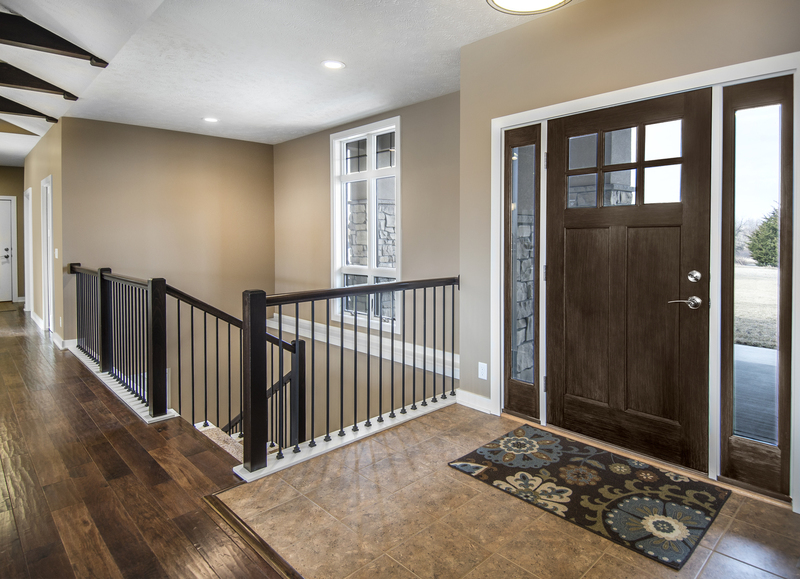 The home is zero entry everywhere; garage, front door & patio. 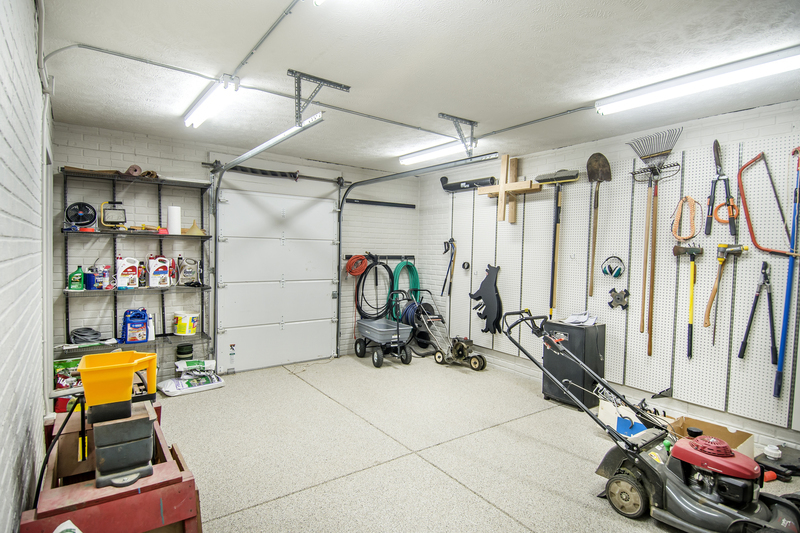 We even made sure that their van was able to open up all the way for the ramp to work with the garage door down. 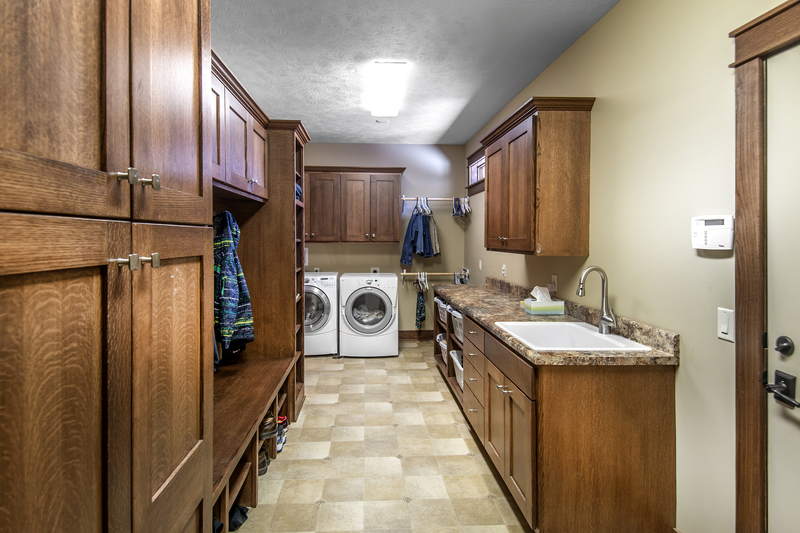 Another kitchen and laundry room that are favorites on Houzz. 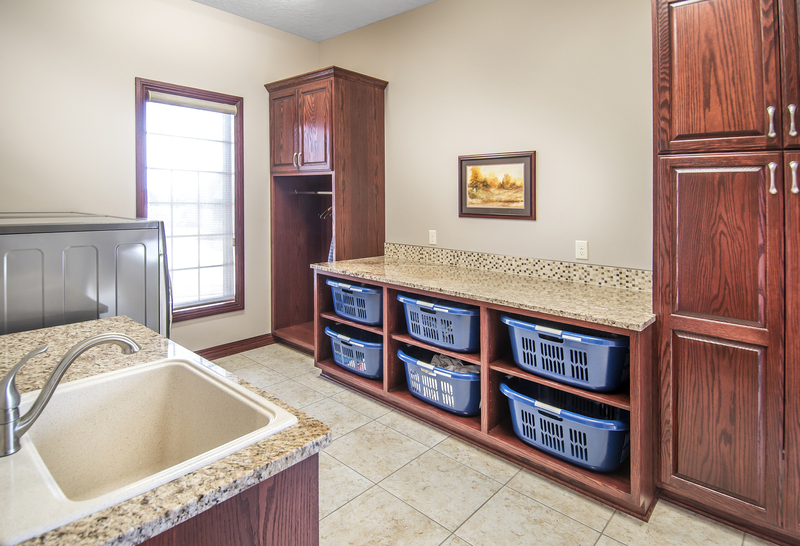 People love the basket sorting idea and the large counter to fold. 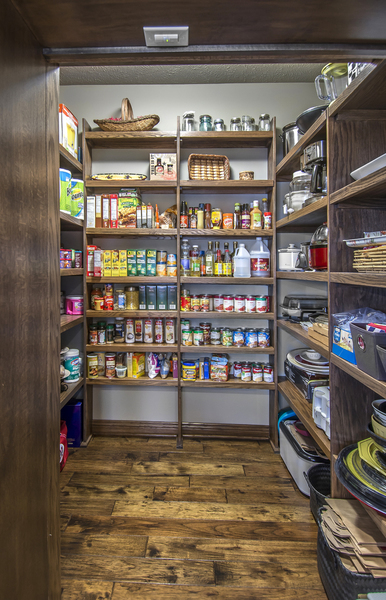 They also love the appliance garage to hide all those items you don't want on the counter. 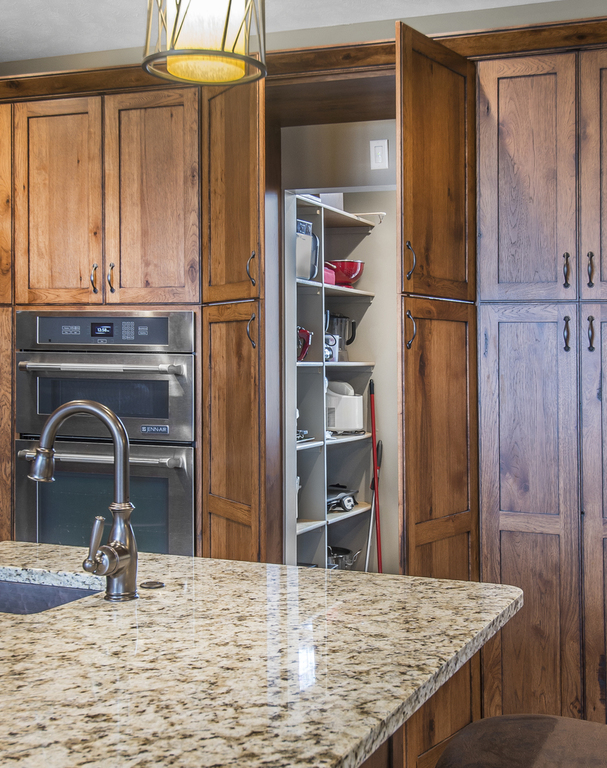 One of the most interesting things we did is move the height of the dishwasher up so you don't have to bend over so far to load dishes. 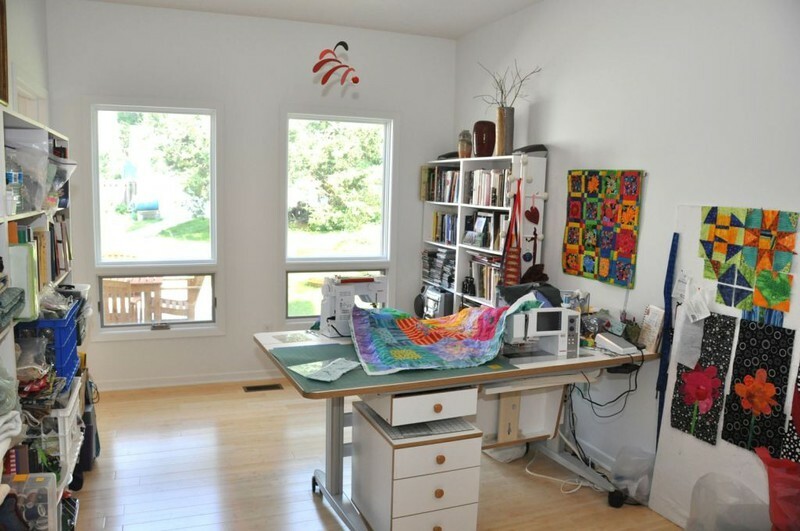 I have since done this on several other projects. 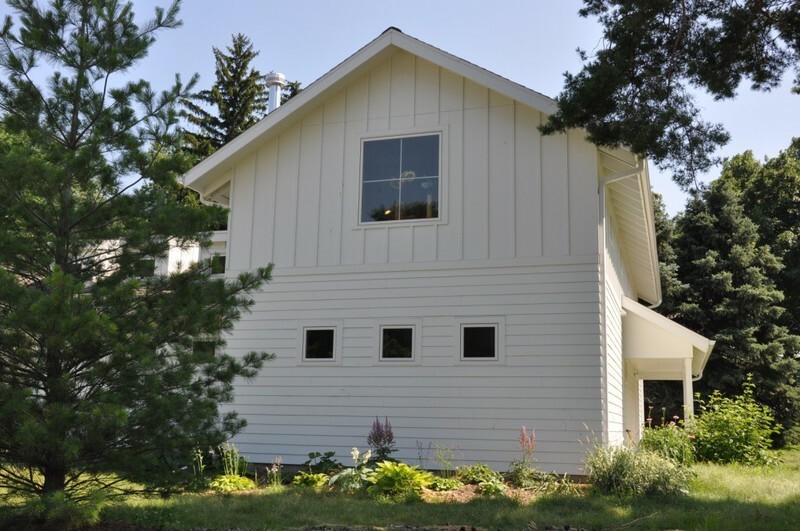 I really love the four season room we designed on the rear of the home. 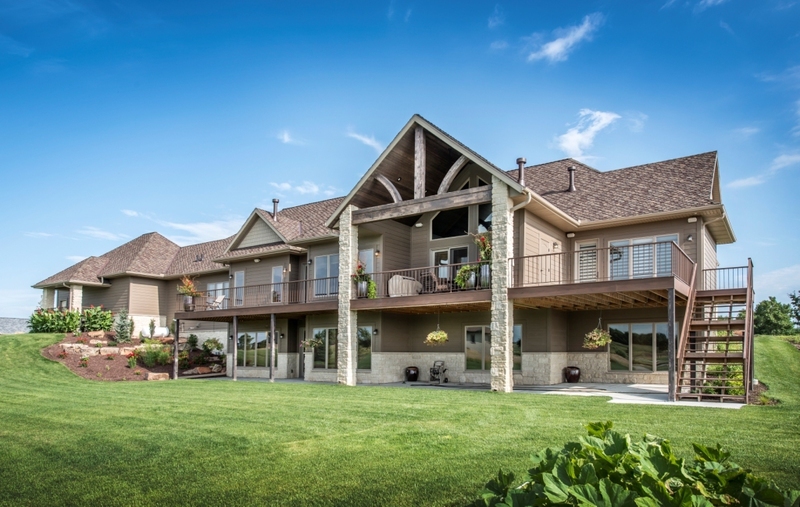 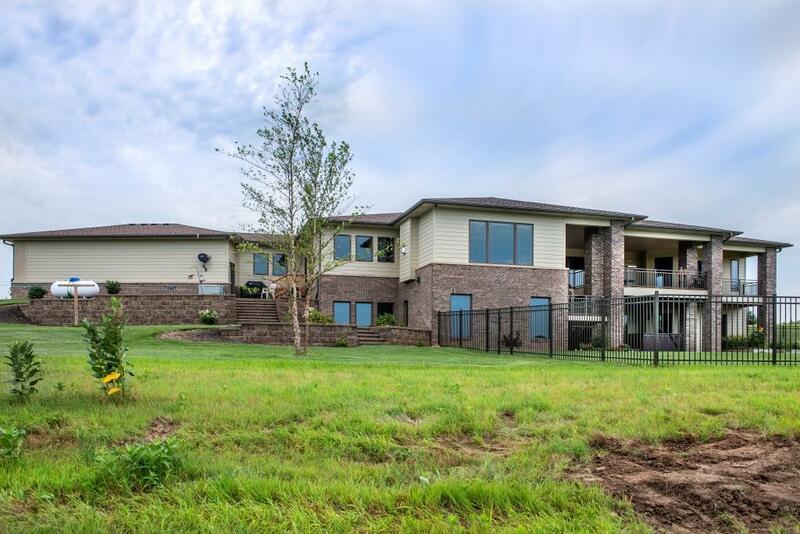 It looks out to some pretty acreage views! 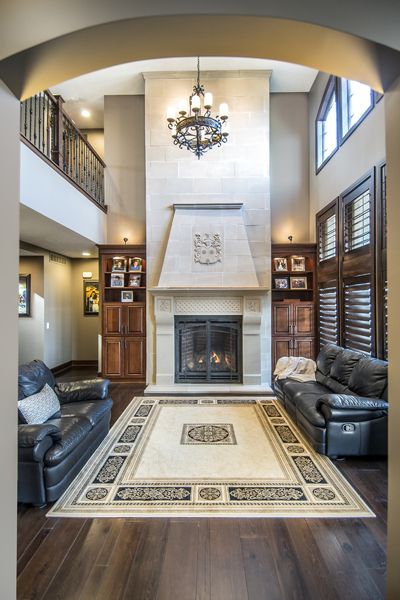 We combined some traditional architecture with modern details that make this home unique and beautiful!